Having missed out when my study abroad group traveled to Israel several years ago, the country had long been top of my list of next destinations. And given its small size would allow me to hit many of the key destinations with minimal travel time, it was the first country that came to mind when I realized I had a week of vacation time to play with and I was getting antsy after too long without traveling. Still, with 5,000 years of history, religion, and nature packed into this tiny state, there was still no way to get everything into a week trip, especially when considering the extensive time spent to fly from the U.S. (with a layover in old “friend” Istanbul Ataturk airport). Thus, this trip did exclude several of Israel’s main destinations, including Bethlehem, Eilat, and even Israel’s largest city Tel Aviv. 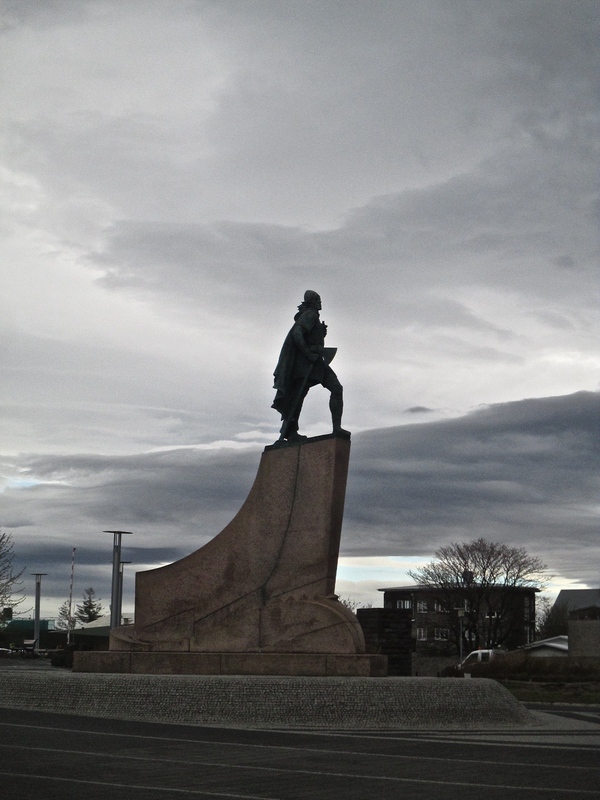 Yet with the aid of the weather and efficient intercity transit system, I nonetheless hit a diverse mix of destinations including the “must-see” sites in my opinion. After a very early morning flight, I took the train up to Haifa along the Mediterranean coast and the nearby historic city of Akko, ending the day in Nazareth. I then spent two days hiking the Jesus Trail between various sights (biblical and otherwise) in the Galilee. That was followed by a stop at the Roman ruins of Bet Shean while en route to Jerusalem, where I spent the latter half of my trip, including a day trip south to Masada, En Gedi, and the Dead Sea. Haifa, Israel’s third largest city, is not particularly known as a tourist site in the manner of several others I visited. Haifa is primarily industrial and residential, developed (like Tel Aviv) primarily since the 20th century. Yet what it lacks in significance for the Abrahamic religions it makes up for in being the spiritual heart of a fourth faith, Baha’ism, whose founder Baha’u’llah was exiled to the vicinity of Haifa and whose followers, who had built a community in the area during his lifetime, endowed the city with the spectacular garden terraces surrounding the tomb of Baha’u’llah’s mentor, the Bab. Also, like almost every settlement and natural feature in Israel, it has biblical ties – in Haifa’s case, it’s built around Mount Carmel, home of the prophet Elijah. Beyond the Baha’i sites, Haifa primarily serves for tourists as the gateway to the northern parts of Israel. Shortly north of the city is the smaller city of Akko, formerly known as Acre. Once a Phoenician settlement, it became famous as the main port of the Crusader kingdoms of the Levant during the Middle Ages, before falling to Muslim armies. Both Crusaders and Muslims (primarily the Mamluks and Ottomans) left significant architectural riches in the city that outlasted the tumultuous creation of the state of Israel. 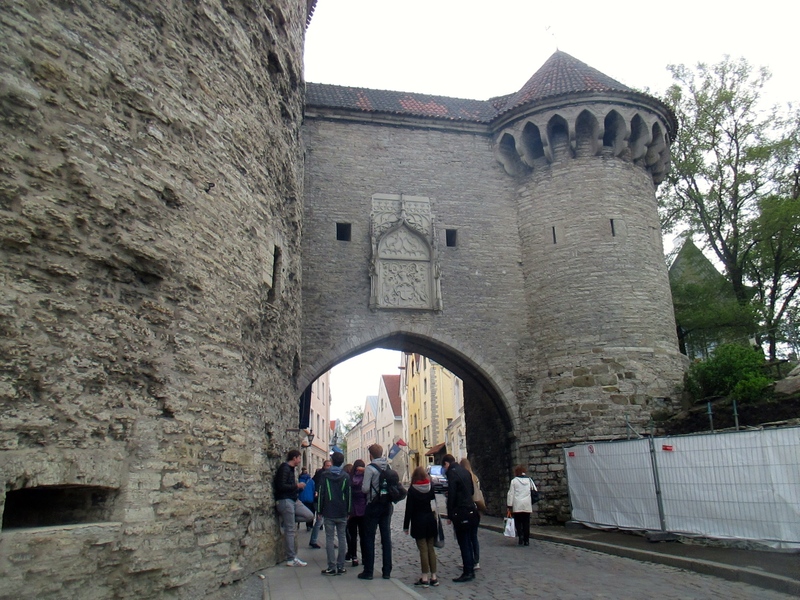 Today, the old walled city contains a plethora of mostly well-preserved castles, mosques, and marketplaces hidden among its labyrinth of alleys. It felt very similar to Dubrovnik, but with more local residents and fewer and more scattered tourists. The last step in this long first day was in Nazareth, third holiest-city of Christianity (I would presume if there’s a ranking). Home of Mary, Joseph, and the child Jesus, Nazareth played a key role in the gospels even if in a less memorable fashion than Bethlehem and Jerusalem. While several churches mark biblical events (most prominently the Basilica of the Annunciation, where God called Mary to have a child) and serve the local and tourist Christian population, today’s Nazareth is far different than the city of yore. Archaeological evidence shows that biblical Nazareth contained at most a few hundred residents, but today’s city is approximately 75,000 – not huge, but certainly a major local hub with the feel of a larger metropolitan area. Nazareth today is also predominantly Arab – Israeli Arabs (distinct politically if not ethnically from Palestinians) form approximately 25% of Israel’s population, with large concentrations in the Galilee. Nazareth’s Arab population was originally mostly Christian, but as in other Christian communities of the Middle East, high emigration, settlement of displaced residents from other portions of the country, and higher birth rates among the Muslim community have made Christianity a minority religion here. 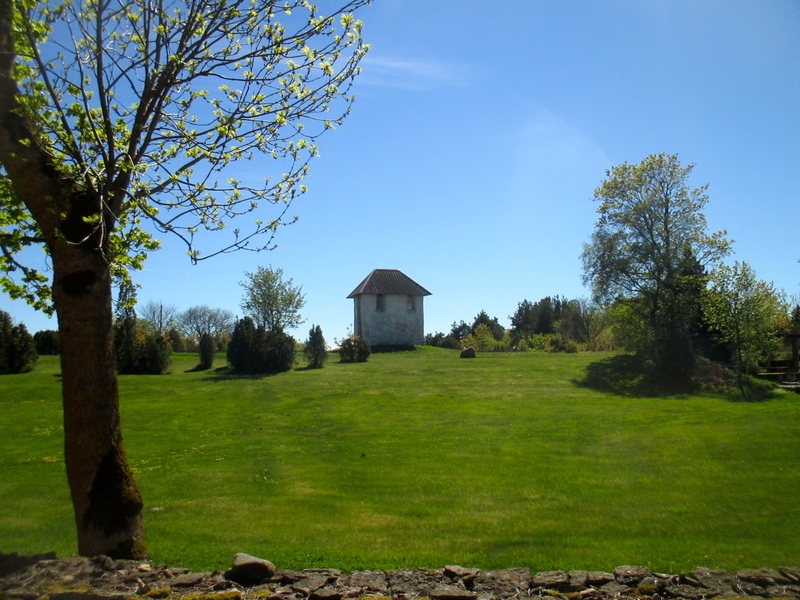 Note that for most biblical sites mentioned in this blog, there is limited if any extra-biblical corroboration for their locations, and they can largely be preceded by “assumed” or “traditional”. While many of these sites were identified very early by the Byzantines, even that was several hundred years after the time of Christ, and many of their original structures were destroyed by invaders or natural disasters. And to be fair, the Bible is also not so descriptive as to replace GPS coordinates, and it would take superhuman archaeological skills to prove even in a town that existed in the first century AD that a specific building housed Jesus and/or his apostles. Indeed, for some of these stories (such as the Annunciation to Mary and the feeding of the 5,000), multiple Christian denominations have built their own churches or monuments each claiming to be the true site of the event. Of course, whether or not these events happened at all historically depends on one’s personal faith. 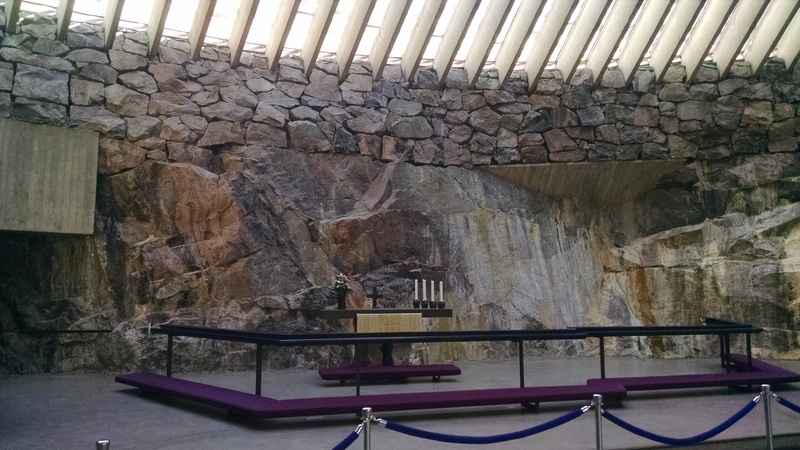 Moral of the story – marvel at the architecture of these sites and use them to reconnect with the Gospels and worship in your own fashion, but do not put too much faith in a specific rock, ruin, or tree. Nabi Shueib, the tomb of the Druze prophet Jethro. A minor figure in the Bible (he was the father in law of Moses), he is revered by the quasi-Islamic Druze sect as the father of monotheism. Cliffs of Arbel, both an impressive natural feature and the site of a major Jewish revolt during the time of King Herod, where the rebels lived in fortified caves in the cliff face. Capernaum, the epicenter of Jesus’s ministry along the shore of the Sea of Galilee. Unlike several of the other Christian sites, there has been extensive archaeological evidence of major Jewish settlement at Capernaum in the first century AD, including the alleged home of Saint Peter, who like many of Jesus’s disciples came from this region. Additional sites near but not directly along the trail include Magdala, home of Mary Magdalene; the Mount of Beatitudes; the Roman city of Zippori (Sephoris) and various other ruins from across the eras. You may have noted that the number of sites is very high for the relatively small distance traveled, a distance that’s even shorter as the crow flies. While Jesus likely did not trek hundreds of miles on a regular basis in general, this also is a result of the extraordinary density of the Galilee. The Galilee is one of the most fertile regions of Israel, and as a result it has been extensively developed for agriculture and human settlement, with new villages every few kilometers. The fact that Jews and Muslims live generally in separate villages, and that there are relatively few individual houses outside of settlements (presumably for security purposes) also increases the number of settlements. 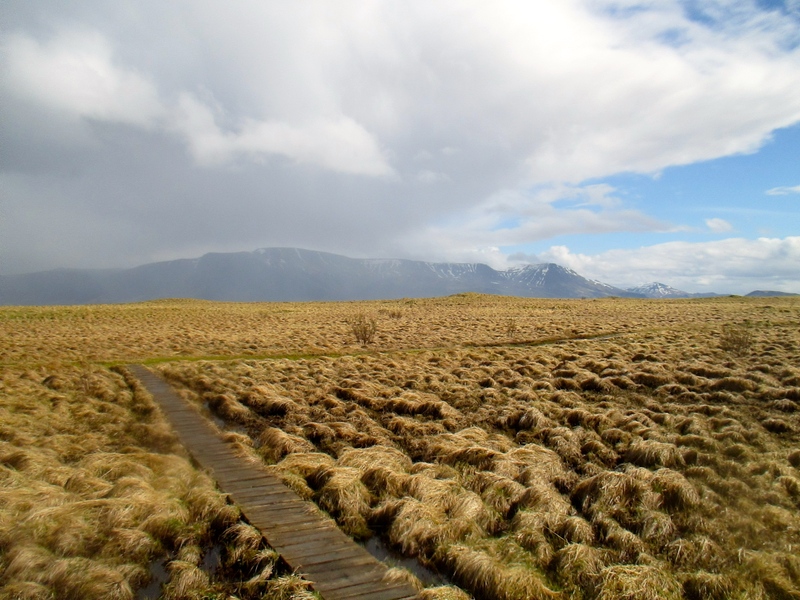 Unfortunately, that population density means that a relatively small section of the trail is actually on isolated hiking paths – much more is on the road, or following various tracks through farmland and pastures (occasionally needing to scare a cow out of the way). For someone used to hiking in the parks of the U.S., this was disappointing – the hike became more of a means to connect the sites rather than an enjoyable outdoor activity in and of itself. I stayed the night after finishing the hike in the Galilean beach city of Tiberias, which seemed like a pleasant if slightly rundown city though I arrived too late and exhausted to do much sightseeing in the city itself (while Tiberias has an impressive historical pedigree, its major sites are tombs of Jewish sages, of less relevance to my personal interest in this trip). The next day I did not attempt such an arduous undertaking as the Jesus Trail, but with so much to see there was no day I could truly rest. I was heading to Jerusalem, but made a brief stop along the way at the Roman ruins of Bet Shean (Scythopolis). A key regional center in the Roman period and earlier (5,000 years of settlement are built on top of each other to form the tell that overlooks the site), Bet Shean contains the classic buildings of a Roman city – amphitheater, arena, bathhouses, temples, and plenty of columns (fallen or standing). While destroyed by earthquake in 749, the remaining structures clearly demonstrate the consistency the Romans applied to urban planning across their empire as they brought back many memories of similar ruins in Turkey. After Bet Shean was a relatively short bus ride to Jerusalem through the Palestinian West Bank. The Israeli-Palestinian conflict is of course a key part of modern Israeli life, but while I have digressed into geopolitics in earlier blogs I will leave that controversy aside here. However, it is striking to note the contrast between the well-maintained but heavily fortified Israeli settlements, many along the limited arable land along the Jordan river, and the ramshackle Palestinian villages, many perched on desolate desert hilltops. The boundaries between Israeli Palestine and Arab Palestine are geographically convoluted but clear – while Israeli vehicles transited across Palestine unmolested and in many cases the border was unnoticeable (in contrast to the other semi-independent states I had been in or near, such as Northern Cyprus or South Ossetia) multiple signs warned of violence or death for Israeli citizens leaving the main roads to enter into the Palestinian Zone A. I began my exploration of Jerusalem that evening, but I will jump ahead slightly to the next day’s trip to Masada, En Gedi, and the Dead Sea. This is a classic day trip from Jerusalem, as each site, while close geographically, is significantly different in its clear attractions. Masada, which I hiked up to see the sunrise, was a natural mesa transformed into a palace by Herod (you will note that Herod comes up in regards to multiple of these sites – whatever his personal flaws recounted in the Bible, he clearly dedicated himself to transforming Judea into a modernized architectural wonder equal to anywhere else in the Roman Empire. and then a fortress by the Jewish rebels, who committed mass suicide atop the mountain when facing imminent defeat by the Roman legions. While the ruins are more extensive than I expected, the highlight is stunning views over the Dead Sea and into Jordan, as well as the canyons and mountains surrounding the site. En Gedi is another break from the desert’s emptiness, though this time natural. An oasis since biblical times, the river of En Gedi, flowing over a series of waterfalls from its mountain source, supported many settlements since vanished, and today sustains a diverse collection of rare desert flora and fauna – unfortunately this fauna did not make an appearance during my visit. The last stop on this trip was at the Dead Sea, the lowest place on Earth. 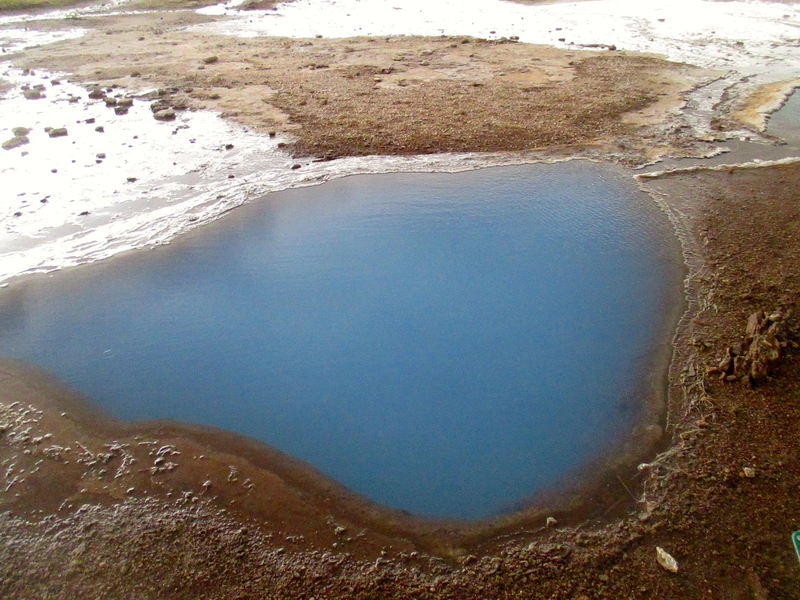 With a highly elevated salt content, the Dead Sea’s water is far easier to float in than a standard lake or pool – even I, who cannot float in a normal pool to save my life, could float there. 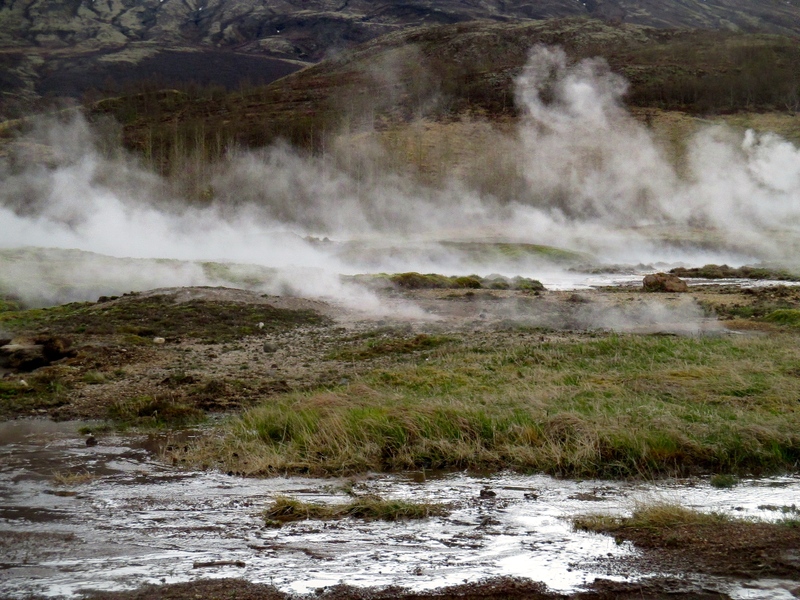 It also is said to have therapeutic properties – while I did not apply a full mud bath as some people did, putting just a little on my limbs did make them feel noticeably softer, while the overall water texture was somewhat oily. And with the temperature noticeably warmer than in Jerusalem and very exposed to the sun, jumping in any body of water was a needed break from a lot of hiking. Lastly and most importantly is Jerusalem, holiest place on Earth. All the modern development that has occurred within the city is subsumed beneath its religious fervor – the sounds of prayer lifting over the deserted Shabbat streets, the Muslim adhan echoing from the hills of East Jerusalem, the Christian pilgrims bearing their crosses to the Church of the Holy Sepulcher. Regardless of the truth behind the stories that animate every corner of the Old City, Jerusalem has an undeniable spiritual energy barely suppressed by the crowds and trinket-sellers that intrude like the moneychangers in the biblical temple. 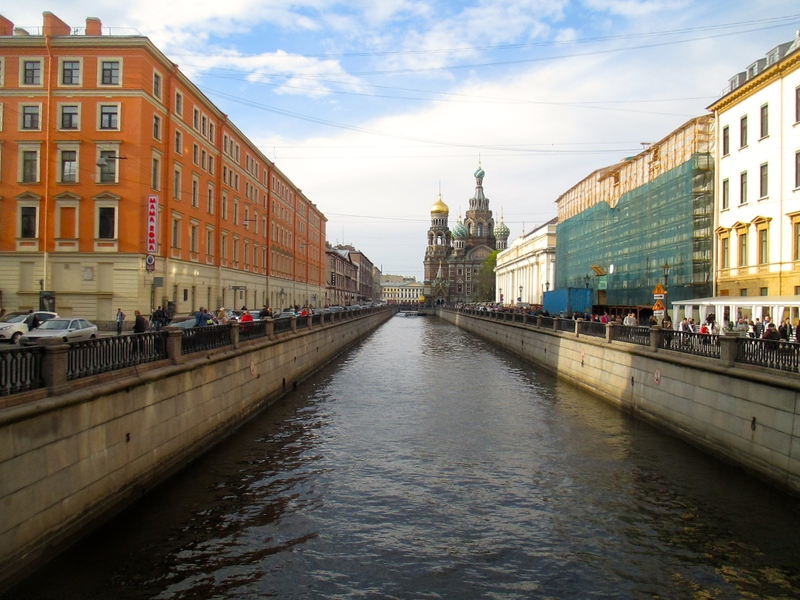 One could spend a lifetime getting lost in the narrow alleys of the Old City, tracking down the tomb of every saint and sage and trying to find one’s own epiphany (and that does not even count the world-renowned museums and artistic exhibitions of the newer parts of the city). I limited myself to the key Christian sites, taking the Via Dolorosa to the Church of the Holy Sepulcher (the site of Jesus’s crucifixion and tomb) and visiting the Garden of Gethsemane on the Mount of Olives, while also getting a more secular historical overview and city panorama at the Jerusalem Citadel (also largely built by Herod), then mostly wandered to find unique corners of the city not covered in the guidebook. 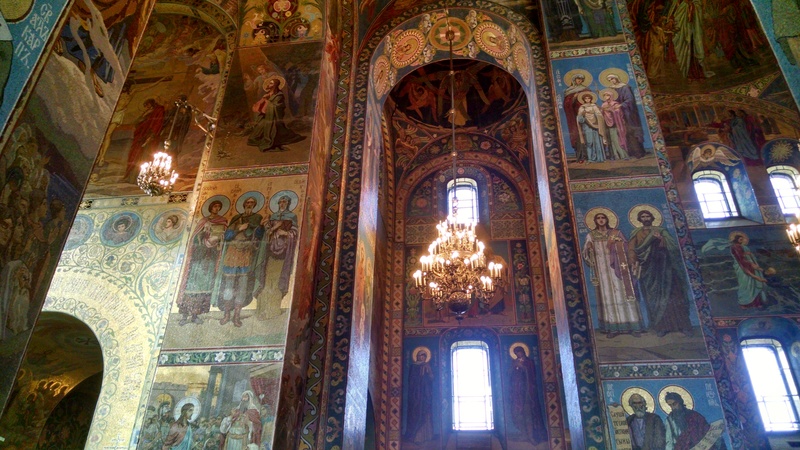 While Jerusalem (and Israel as a whole) draws visitors from all over the world, the prominence of Russians, Indians, and Africans in pilgrim groups demonstrated the diversity of modern Christianity. As befits its status as the center of empires and the home of global faiths, Jerusalem’s residents are particularly diverse, with Jews from Morocco, India, Iran, Ethiopia, and other African and Asian countries mixed with the largest cohort from Europe. The most prominent Jewish group is the ultra-Orthodox (Haredi),now one-third of Jerusalem’s population. Easily noticeable in their suits and felt or fur hats (for men) and long dresses (for women), the ultra-Orthodox have an extraordinary high birth rate (more than 4 children per woman) and are rapidly replacing secular Jews, giving Jerusalem a far more conservative character than the other main Jewish cities (the Arab population, primarily confined to East Jerusalem, is growing as well). Due to its diversity, Jerusalem has a dining scene influenced by every corner of the world with a Jewish population, arguably the best of any city I’ve visited (I ate Georgian, Armenian, Kurdish, Puerto Rican, and Yemenite cuisine, as well as the traditional Israeli breakfasts at the hostel). Unfortunately though, Israel is very expensive, especially compared to its Middle Eastern neighbors, with prices comparable to if not exceeding Western Europe and the U.S. (an unfortunate drawback for someone like me who usually eats on a budget). If it were possible to understand all of Israel in a week, scholars and diplomats would not need to spend their lifetimes trying to piece together the incredibly rich history and culture of this place, or its occasionally tragic modern results. Luckily, as just a tourist I was able to come away quite satisfied, though as with most places I go, there may always be a next time. Due to Ethiopia’s mountains, it lacks the famous megafauna found elsewhere in Africa, save for along the western and southern borders, which are far more difficult to access. The tradeoff for this is that the landscapes and views from the mountain parks are nothing short of spectacular (and the wildlife watching, while subdued, is nonetheless exceptional). Ethiopia does have tremendous biodiversity, including numerous endemic species, but much of it faces the same threats as elsewhere in the developing world, with habitat destruction, overpopulation, overgrazing, and pollution causing wildlife to retreat into protected or otherwise remote areas. Luckily for tourists like me, these areas have become much less remote as the government has made significant effort to pave roads and encourage development near the national parks to boost tourism, and numerous agencies manage transportation and handle the array of required permits, personnel, and equipment. I visited two of Ethiopia’s national parks, and despite the historical and cultural wonders of the cities, I can safely say these were the highlights of the trip. My first, after Gondar, was the Simien Mountains National Park where I spent two days and one night hiking and camping. The Simien Mountains are considered Ethiopia’s Grand Canyon, and are deservedly famous both for their steep drop-offs and awe-inspiring views and for the local wildlife – gelada monkeys, walia ibex, and rare Ethiopian wolves. The park itself incorporates Ethiopia’s highest peak and mountain meadows used by local herders for grazing – unfortunately, this means the most common fauna are cows and sheep and there are significant erosion issues. Nonetheless, despite the altitude (most of the park is above 11,000 feet), the views from my campsite at Geech and from the peak of Imet Gogo the next day more than made up for the exercise of carrying my pack through the mountains (most treks include a mule to carry any baggage, my tour company apparently just pocketed that portion of the fees for the first day and let me use my own strength). And there was little difficulty seeing the park’s famous denizens – I passed multiple hundred strong packs of gelada monkeys just driving in, and more while on the trail. While returning to camp after sunset, our guide tracked down a unique noise to find an Ethiopian wolf, which we followed back toward the camp for some time – and then saw again the next day when it came around the camp garbage, only perhaps 100 yards from the tents. With only 500 individuals left in the world in a few sections of the Ethiopian highlands, seeing an Ethiopian wolf is a treat – but maybe not quite so rare, as they’ll come up again later in this post. Hiking in Ethiopia’s national parks is a change from elsewhere in the Western world, and not just for the landscape and wildlife. Both to provide sustainable employment to local people and to provide protection from the rare but still present leopards and hyenas (Ethiopian wolves are too small to pose much threat to humans), all trekkers are required to hire both a guide and an armed scout. I, however, did not get a guide for the first day and was left to wander around with a non-English-speaking scout and one other British traveler. My second trip was also up into the mountains, but this time in the south of Ethiopia in the Bale Mountains. The only part of my travels that went south of Addis Ababa, traveling to the Bale Mountains meant passing through the Oromo regions, luckily no longer restive. There are minimal physical differences between the Oromo and Amhara, however the Oromo language, which uses a Latin alphabet and is closely related to Somali, does clearly differ from Amharic, a descendant of the Ge’ez language. There is also a much larger Muslim population among the Oromo, especially as one moves further East, so minarets replaced many of the crosses I found elsewhere in the country. The first stop on the way to the Bale Mountains was Lake Ziway, part of the Rift Valley that is a significant waterfowl habitat. While I stopped only briefly at the shore, I was surrounded by flocks of marabou storks, pelicans, and other birds that hang around to feast on the fishermen’s leftovers. The Bale Mountains National Park encompasses a much broader range of terrain than the Simien Mountains, and despite similar altitudes is far more verdant. Here, the wildlife is the main draw over the scenery (though both are impressive) and as if they were set up for me, just after crossing the park border into the region known as the Gaysay Grassland there were so many antelope (mountain nyala, Bohor reedbuck, and Menelik’s bushbuck) and warthogs it was impossible to drive a few feet without seeing another one. This was replicated in the forested area around park headquarters, where the guide with me to track animals seemed superfluous given their ubiquity – besides the antelope and warthogs I was able to sight a colobus monkey, baboons, and a honey badger. The next day entailed driving up into the meadowlands of the Sanetti Plateau, the best place in the world to spot Ethiopian wolves. My luck at spotting these creatures continued, as I saw seven in my two trips across the plateau, some at close range, as well as many smaller rodents and several endemic birds. The wolves (as well as birds of prey) hunt the giant mole-rats whose burrows cover the landscape, easily viewable in the barren landscape when racing from den to den. The trip also took me above the clouds to the peak of Tulu Dimtu, the second highest peak in Ethiopia, and down into the Harenna Forest, where my weather luck ran out (I had been traveling towards the end of the dry season so rain was rare), and in conjunction with a miscommunication with the guide that resulted in me getting lost in the jungle, I was not able to find the local Bale monkey (or, if terrifically lucky, a lion). While I regretted not getting more of a chance to hike in the park, the ease of access to the most important sites by 4WD definitely allowed me to have a better wildlife-viewing experience. Both of these national parks, while still wildlife rich and popular with foreign tourists (though they were far from crowded at this time of year, I did not see a single visitor outside my group in the Simiens), show the challenges of maintaining large protected spaces in populated areas – in the Bale Mountains park rangers do a good job of keeping livestock out of the park, while in the Simiens there is less protection, but in both cases there are many communities within or just outside the park that rely on its resources for daily life and the parks must balance the tourism benefits of an undisturbed environment with the local demands for water, wood, and grazing land. Both parks also owe some of their upkeep to Western governments (Simiens to Austria, Bale Mountains to the EU/Oxford University). Indeed, throughout my travels in Ethiopia there were many signs of Western humanitarian involvement in Africa – local infrastructure projects bearing USAID or World Bank signs, posters urging local communities to stop migration to Europe, workers with medical charities trying to treat tropical diseases. After the Bale Mountains, I headed back to Addis for one day to souvenir shop and relax before heading back to America with many great memories. Ethiopia is undoubtedly a challenging country – far too many of the inhabitants think of foreigners as walking piggy banks to beg or scam from, infrastructure and accommodations are certain lower quality than in the West, the cuisine can get monotonous, and political turmoil is always a risk. 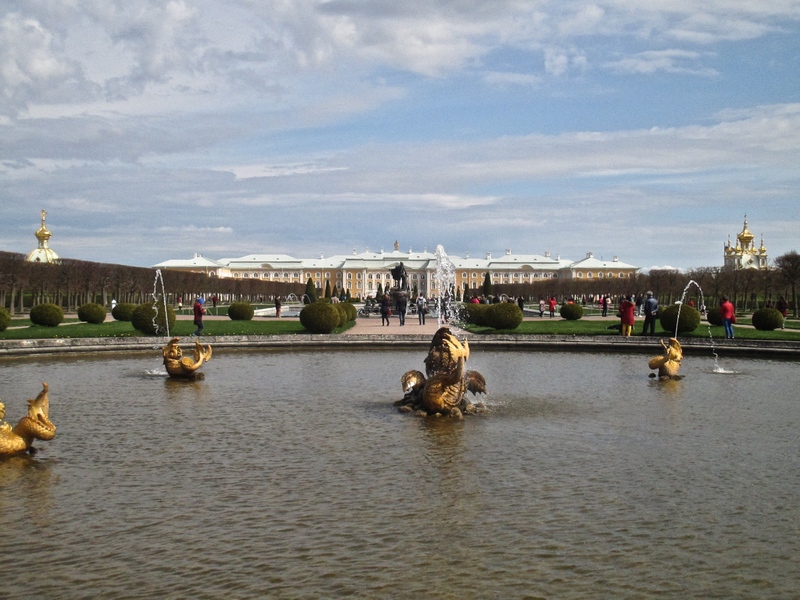 But I have never been anywhere like it, and its attractions are truly special, the sort of places that really are worth traveling halfway across the world to see. The one benefit of not having enough Internet access to post these blogs while I was traveling is that I can organize them more thematically, instead of just going through places in the order visited. Thus, this post skips over my trip to the Simien Mountains National Park, which was my next step after Gondar, to focus on the two historic sites remaining, Lalibela and Aksum (don’t worry, there’s plenty to talk about with the national parks in the next post). Unintentionally, I had arranged my trip so that I essentially went back in time through Ethiopia’s history, jumping from modern Addis Ababa to the 17th century castles of Gondar, to the 12th century capital of Lalibela and the even more ancient Aksum. Lalibela today is a small community, approximately 40,000 people isolated amid soaring mountains reachable only by dirt roads. Yet during the 11th through 13th centuries, this isolation provided the perfect defense for the capital established by the Zagwe dynasty under King Lalibela. Inspired by a pilgrimage to Jerusalem and the news of Jerusalem’s capture by Muslim armies during the Crusades, Lalibela began an ambitious program to make his capital a new Jerusalem, and a holy city for all Christians. The result of this vision was the construction of eleven churches hewn out of solid rock, surrounded by biblically named natural features such as the River Jordan and Mount Tabor. These churches, so intricately designed and complexly engineered that Ethiopians believe they were partially built by angels when the humans stopped working during the night, are each different and each dedicated to a specific religious figure. Still in extraordinarily good condition (even though the roofs built by UNESCO detract from the scenic beauty), the churches are the main tourist attraction of Ethiopia and one of the most well-preserved historic sites in sub-Saharan Africa, most prominently the cross-shaped Bet Giyorgis (St. George’s). During the holy days of the Ethiopian Orthodox Church (which do not necessarily align with their corresponding festivals in Western Christianity, as Ethiopian Orthodoxy follows a distinct calendar) these churches are swarmed with pilgrims from across the country – however, arriving approximately two weeks after Ethiopian Easter, the churches were largely deserted except for a few other foreign tourists and the priests. These churches generally lack the interior paintings found at the Lake Tana monasteries, though carvings along the walls and windows still have Christian symbolism and the experience of worship in the stone churches is quite distinct (if the stone floors make walking and kneeling admittedly a bit uncomfortable). 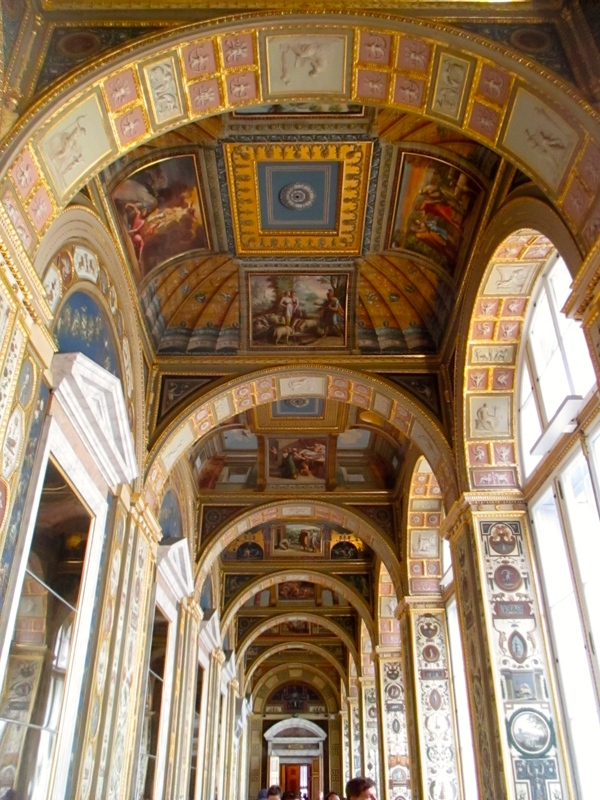 Several of the churches today likely served other roles, such as palaces or storerooms in the past, providing some rationale for the many differences in design. My visit to Lalibela also included a side trip to the Yemrehana Kristos church a ways north of Lalibela in the countryside. This church, from the 11th century, predates the churches of Lalibela by almost a century. While the architectural links between the churches are clear, Yemrehana Kristos is unique in that it was built inside a cave, instead of carved out from the ground. This church became a pilgrimage site for many dying worshippers, whose mummies still fill the back of the cave in a rather macabre display of devotion. Unfortunately, for all of the tourism and pilgrimage to Lalibela, it is difficult to see a positive impact in the community, which is still quite poor and unexceptional beyond the cluster of churches. After Lalibela I continued the Christianity theme by flying north to Aksum (often spelled Axum, especially when as a historical reference). Aksum is the heart of Ethiopia’s Tigray population, and is within sight of the bitterly contested border with Eritrea, also primarily Tigray. Also mountainous but drier than the cities I had previously visited, Aksum has an outsize importance for its small size (approximately 80,000 people). Long before the year 0, Aksum and surrounding communities were the center of Ethiopian civilization, and the growth of the Aksumite Empire in the first millennium AD, when it controlled most of the Horn of Africa as well as Yemen and parts of Sudan, left a profusion of historical relics. 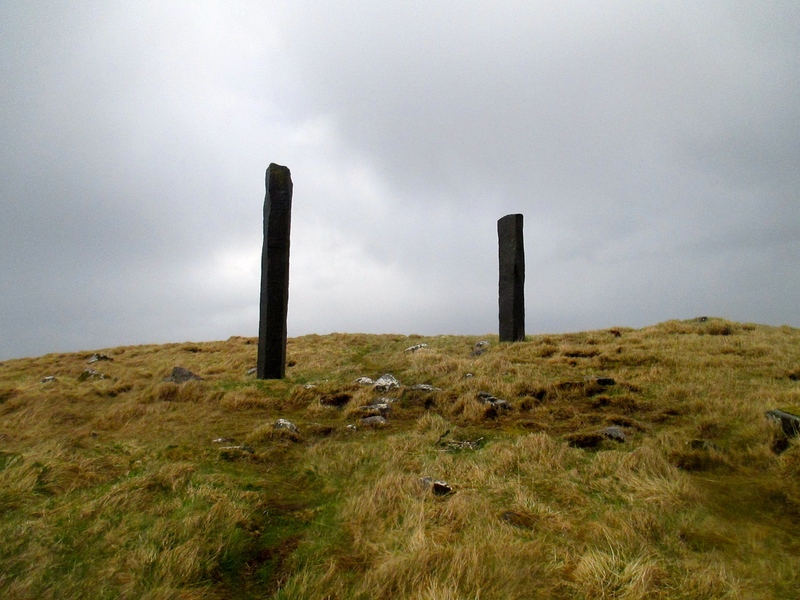 Foremost among these are the stone obelisks (stelae) dotted around town, especially in the Northern Stelae Field. The progression from uncarved, unraised stones to small uncarved raised stones to the massive carved raised stones (of which only three remain, the fallen Great Stela, the Rome Stela captured and returned by the Italians, and the King Ezana’s Stela (which is currently held up by scaffolding) is clear in the small field, which also contains the tombs of local notables the stelae were placed here to mark. The adoption of Christianity by Aksumite King Ezana (whose stone marker inscribed in the Aksumite Ge’ez language, Greek, and Sabaean [Yemenite] can be considered the Ethiopian Rosetta Stone) caused a conflation of the Aksumite ruins with biblical stories in later years – Aksum claims the palace and bath of the Queen of Sheba, the tomb of King Bazen (Balthazar), one of the Magi, and most importantly the Ark of the Covenant. 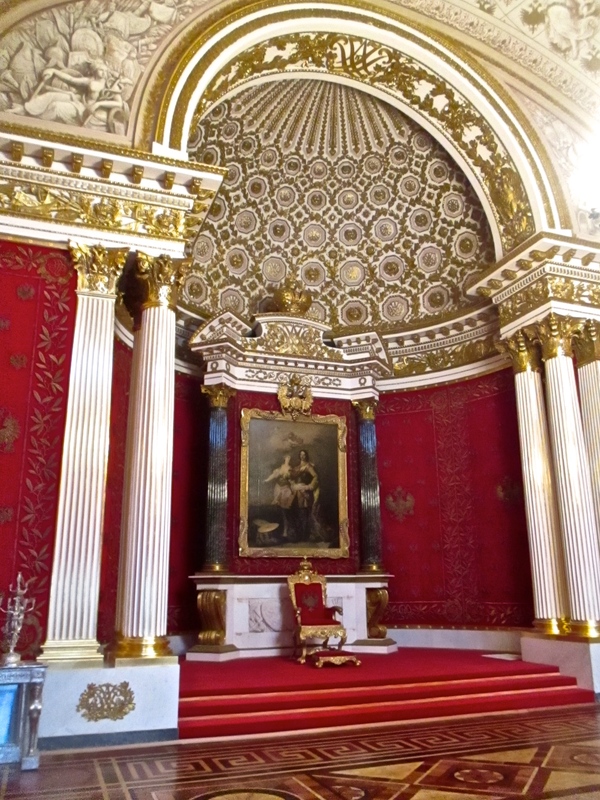 According to Ethiopian legend, King Solomon had a son with the Queen of Sheba. This son, Menelik, who was the founder of the Ethiopian royal lineage, traveled to Jerusalem to visit his father and on his return took the Ark of the Covenant from the Temple and carried it to Ethiopia, where it has remained ever since. 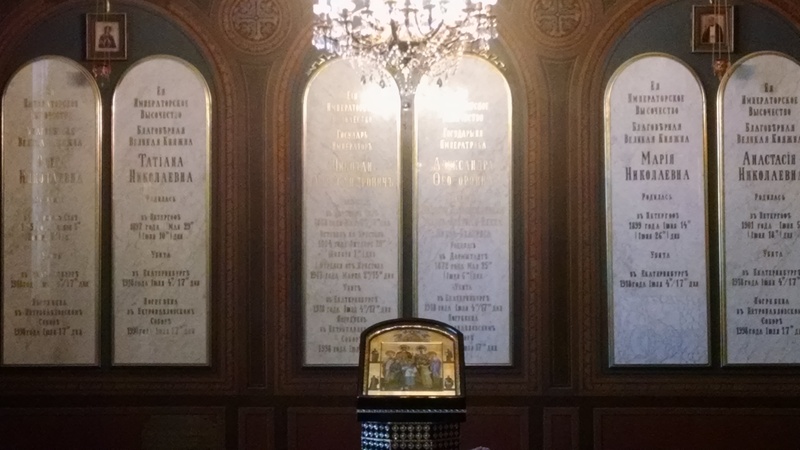 Now held in a small chapel between the St. Mary of Zion churches (one from the 17th century, one from the 1950s) inaccessible to all except one monk, the presence of the famous relic here makes Aksum the holiest site in Ethiopian Orthodoxy. Only the monks can say if the true Ark is actually in Aksum, but with no other would-be Arks elsewhere in the world as yet, this mystery does not stop Ethiopians’ faith in their country’s possession of this most powerful of biblical objects. Due to this claim to religious fame, Aksum is also surrounded by monasteries and rock churches, such as the hilltop monastery of Abba Pentalewon, offering views across town, north to Eritrea, and into the moonscape of the Adwa Mountains in the East, where Ethiopia won its famous victory against Italian invaders on March 1, 1896 (now an Ethiopian holiday). The importance of the Tigray region has continued into present day Ethiopia, as it was the epicenter of resistance against the Communist Derg and its inhabitants were disproportionately represented in the governments that followed the civil war – perhaps the reason for the better condition of Aksum as compared to many of the smaller Amharic and Oromo cities I passed through. Ethiopian Orthodoxy is a far more powerful part of Ethiopian culture than Christianity is even in more religious countries such as Russia or Latin America, let alone the largely non-religious West. Ethiopian Christianity dates back to King Ezana, Aba Salama (Frumentius) and the Nine Saints in the 4th century AD, though the church claims an even older descent, to the Ethiopian official baptized by Philip in the Bible. On holy days Ethiopians will wear white ceremonial robes and spend much of the day in worship – the day I left Gondar was St. Michael’s Day, and starting at 3:00 in the morning sermons were blared by loudspeaker across the town for at least six straight hours, similar to the Muslim call to prayer. Ethiopians particularly venerate St. Mary and St. George, whose images are found in almost all churches, and spend much of the year abstaining from meat as part of a strict fasting regimen. The Ethiopian Bible, written in the ancient liturgical Ge’ez language, contains numerous unique books used by no other denomination. Yet despite this Christian fervor, modern Ethiopia is remarkably tolerant, as the third of the country which is Muslim (across all ethnic groups) coexists peacefully with Orthodox and Protestant Christians alike, and most still practice certain local traditions regardless of faith. But after so many days seeing churches and castles, it was time to escape the small cities in Ethiopia’s nature – the focus of the last of my Ethiopia posts. When I found myself with an extra week of vacation time, I thought there would be no better use to taking a trip to a continent I had never visited, South America. And there’s arguably no better place to get a taste for Latin American and Caribbean culture and history then in Colombia’s historic but booming port of Cartagena. Once a rare destination due to many years of internal conflict related to radical political ideology and the drug trade, Colombia’s recent peace deals, rapidly developing cities, and the general growth of adventure tourism have brought many more visitors in recent years to experience Colombia’s beautiful nature and rich colonial heritage (though I’ll admit that part of my inspiration was from the TV show Narcos, which presents the rise and fall of Colombia’s most notorious claim to fame, Pablo Escobar). And most of this tourism is centered on Cartagena, easily accessible by plane or ship from North America. 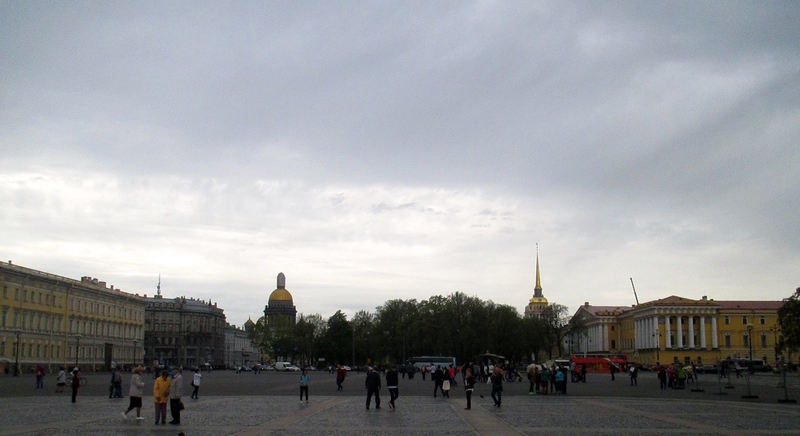 However, as I traveled in the rainy season, most of the other tourists were European backpackers or American week-trippers, not the crowds of cruise ship passengers that overwhelm the city during the winter months (despite the season, the rain consisted only of short afternoon showers that did not interfere with my plans). Cartagena was founded by the Spanish in 1533 as the hub of their colonial empire in the Americas, shipping out untold tons of gold and silver mined or stolen from native peoples across the Andean region and serving as the stopping place for thousands of slaves, soldiers, fortune seekers, and other Europeans moving to these vast territories. But such a wealthy but distant city proved an irresistible attraction to pirates and other European powers seeking a foothold in the Caribbean, and was attacked multiple times, including by such famous figures as Francis Drake and John Hawkins. 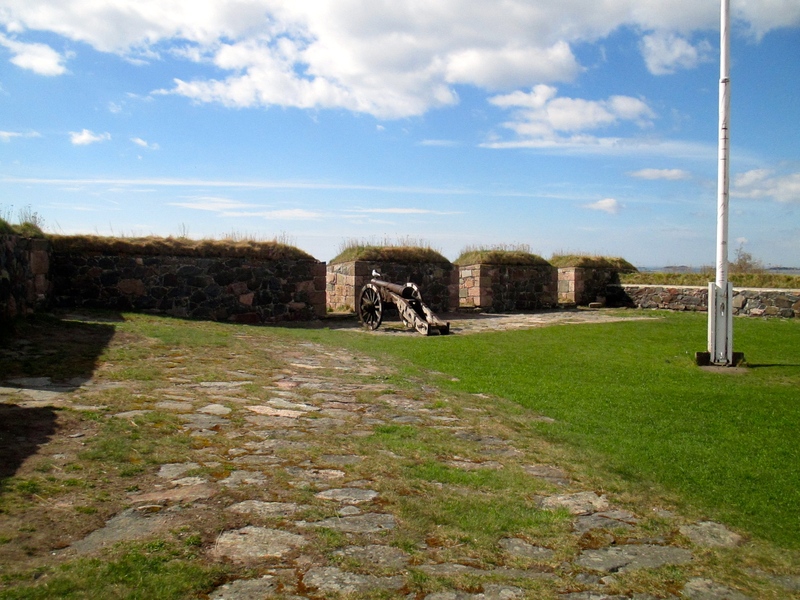 As a result, the Spanish colonial government developed a massive system of fortifications around the Old City and the surrounding islands and mainland dominated by the Castillo de San Felipe de Barajas, the largest fortress complex in Spanish North America. 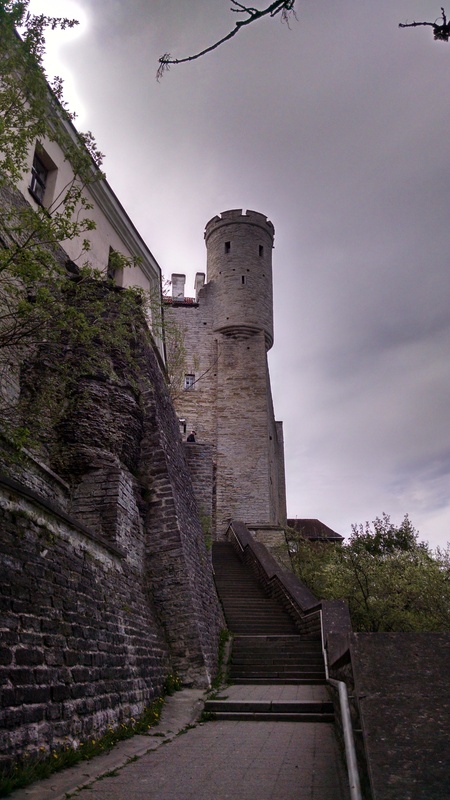 Despite their imposing looks, this castle was relatively ineffective in actually defending the city, which still fell multiple times after its construction. Inside the walls, the Old City of Cartagena’s closely packed mansions and churches are a stunning example of Spanish colonial architecture, while the nearby Getsemani neighborhood (once the lower class section of the city, now the “hip” neighborhood and site of most backpacker accommodation, including my own) includes a profusion of murals and colorful houses overflowing with flowers. 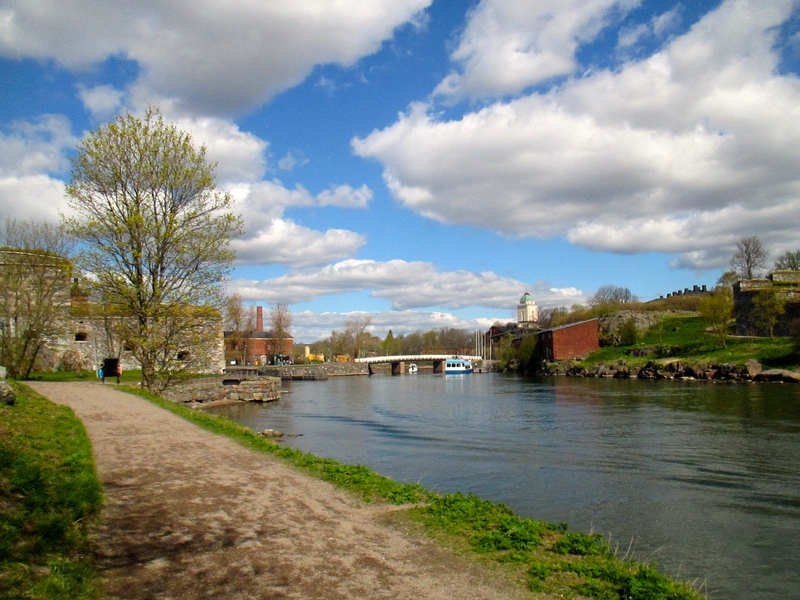 Both parts of the city, despite their tourist appeal, are still living cities, and the sightseer regularly passes local residents going to and from their homes, work, and errands. With hundreds of years of mixing between African, Indian, and European residents, Cartagena’s people are remarkably diverse, if largely poor, with tourism giving many extra income but making limited large-scale impact on the lives of most residents. Yet Cartagena today has grown to nearly one million residents, far outstripping the old town, and resulting in a dizzying array of neighborhood types; the high-rise resort and condo towers of Bocagrande, the busy ports, the well-preserved tourist center, and the sprawling slums to the East and South, with striking contrasts between the lives of rich and poor in one of the world’s most unequal countries. But the prices are fantastic for a foreigner, especially if one eats like the locals (Colombian cuisine is mostly simple but satisfying – meat with rice and potatoes or beans, with Cartagena’s food especially drawing off the sea, and a profusion of fresh fruit and juices). Cartagena also draws its popularity from the ease of taking day or longer trips from the city to dozens of pristine beaches, hidden ruins, or wild rainforests. 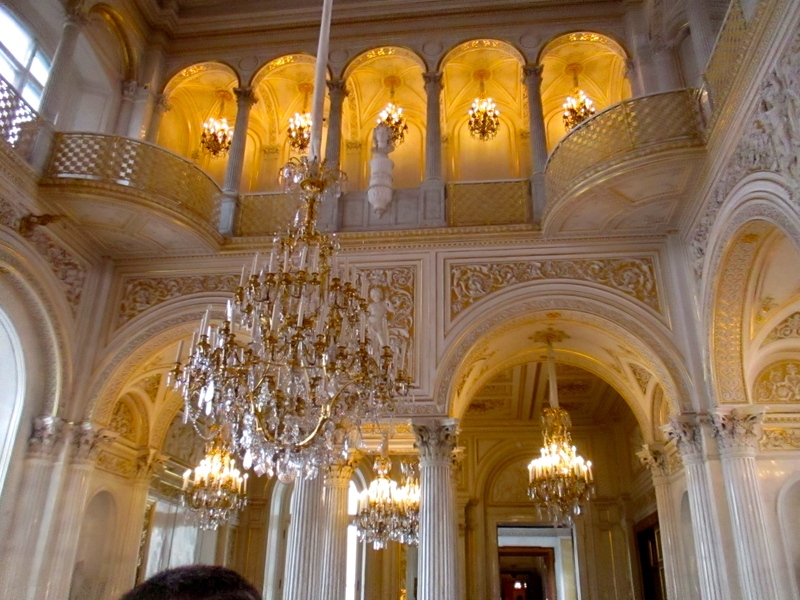 As part of my trip, I took two classic trips from Cartagena. The first, just a day trip, was to the Isla Pirata (Pirate Island), part of the Islas Rosarios National Park, which preserves remarkable coral reefs and all the expected features of a tropical resort, though it has also become a ritzy vacation destination for the upper class of Colombia and around the world. For my trip, though, I appreciated having a few other groups of Americans to spend the day with. My main additional trip was for several nights in Tayrona National Park, east of Cartagena via the city of Santa Marta. Santa Marta is the oldest city in Colombia, though it has not retained as much of its colonial buildings as Cartagena and is primarily a stopover for backpackers heading to and from Tayrona and other local natural areas. Tayrona is the quintessential vision of paradise, with deserted white sand beaches at the base of mountains dense with rainforest foliage. While Tayrona also has the drawbacks of the rainforest (heat, humidity, rain, and insects), the ocean is never far away, and with lodging limited to campsites, hammocks, and a few cabins, only one road and few trails, human impact on the park is minimal despite its growing popularity. The park protects an extraordinary diversity of wildlife, though my sightings were limited to a few capuchin monkeys; a skunk; and various birds, butterflies, and the ubiquitous lizards. Tayrona contains several sites sacred to the local native people, and encompasses a small Indian village (Pueblito) and ruins of the once larger town around it, though reaching there requires a challenging uphill scramble from the campgrounds. Tayrona was the furthest I got from Cartagena, returning to Cartagena the day I left the park to fly out, but Colombia itself is a massive country, with the culture and climate of Bogota and Medellin far different, but with a poorly developed road system, seeing much more of the country would need to be left for another trip – as it was, I felt I got a phenomenal glimpse of a fascinating country. I feel like I generally enjoy immensely the countries I visit on my travels. But rarely do I fall in love with a country. 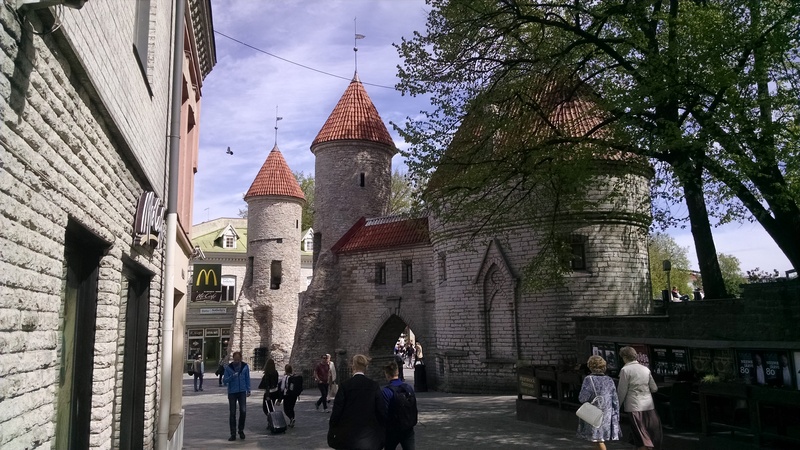 That, however, is what happened in the last stop of this vacation, Estonia. 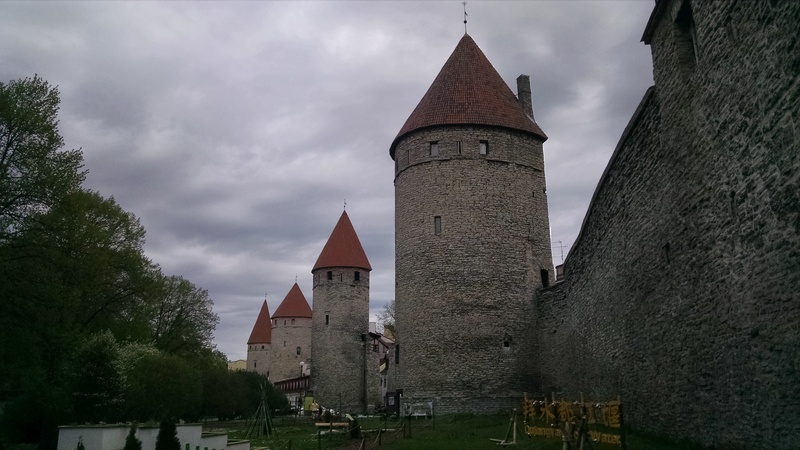 It’s hard, even for a Eastern European history buff like myself, to say I knew much about Estonia before visiting. 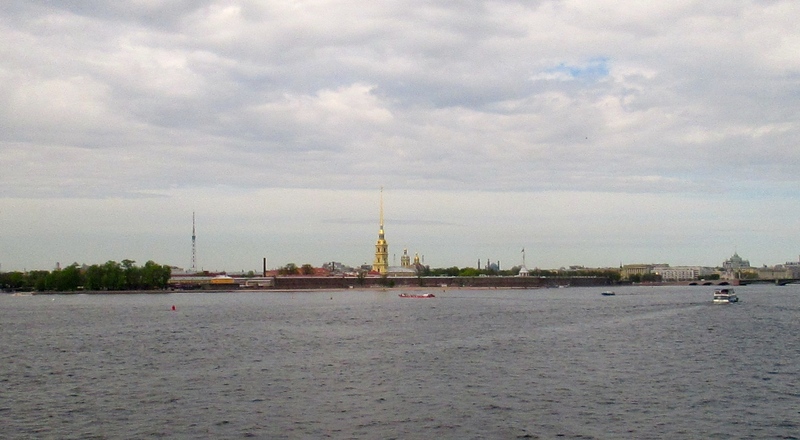 Sure, I could name the capital, talk a bit about the ethnic and linguistic groups in the country, and discuss its growing relevance as NATO’s frontline against Russia, but in terms of famous figures, key historical events, cultural traditions, cuisine – I would have only drawn a blank. 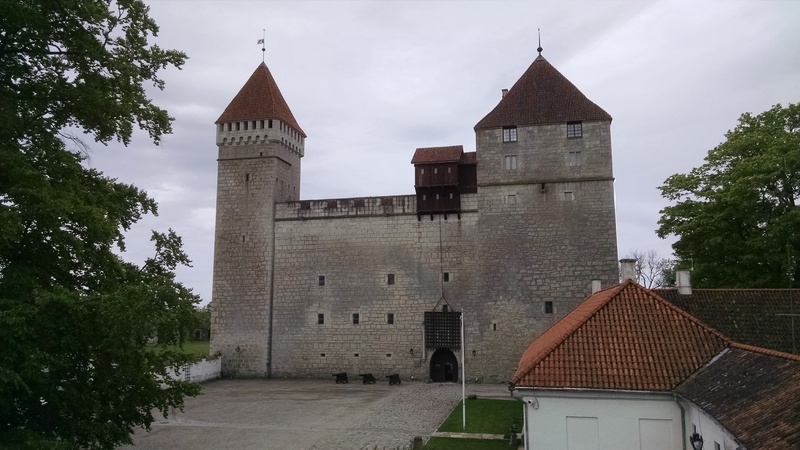 And to be fair, Estonia is a country without much of an independent history – despite the best efforts of its national history museum (all of about three rooms). 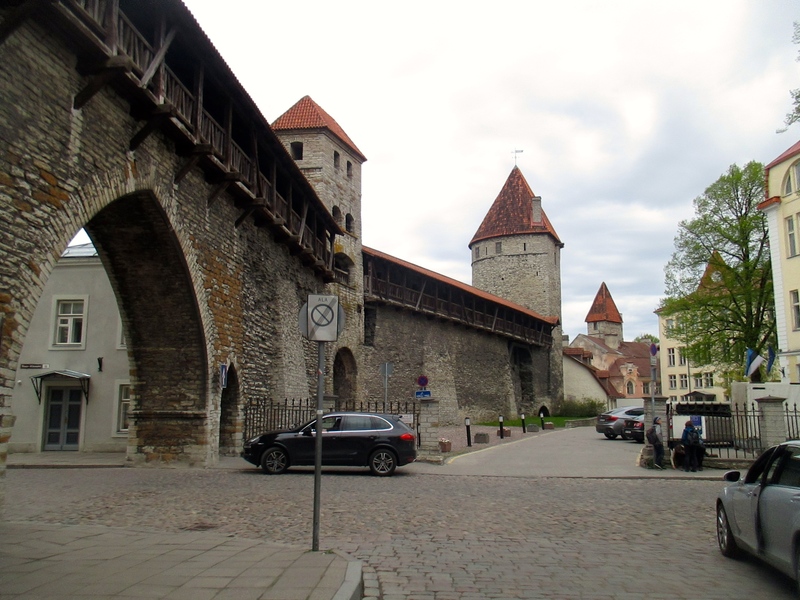 Estonia was essentially the site of battles, massacres, and other unsavory events as its territory was fought over and traded between Sweden, Germany, and Russia as each sought to control the Baltic, not existing as an independent country until briefly in 1918, and again after 1991. And its roster of celebrities is also thin (composer Arvo Pärt, anyone?). 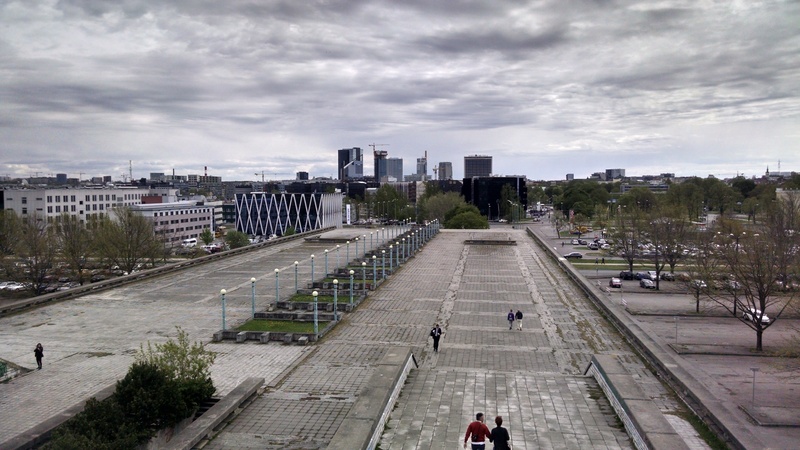 Yet despite the novelty of self-rule in Estonia, the country is truly a development success story. 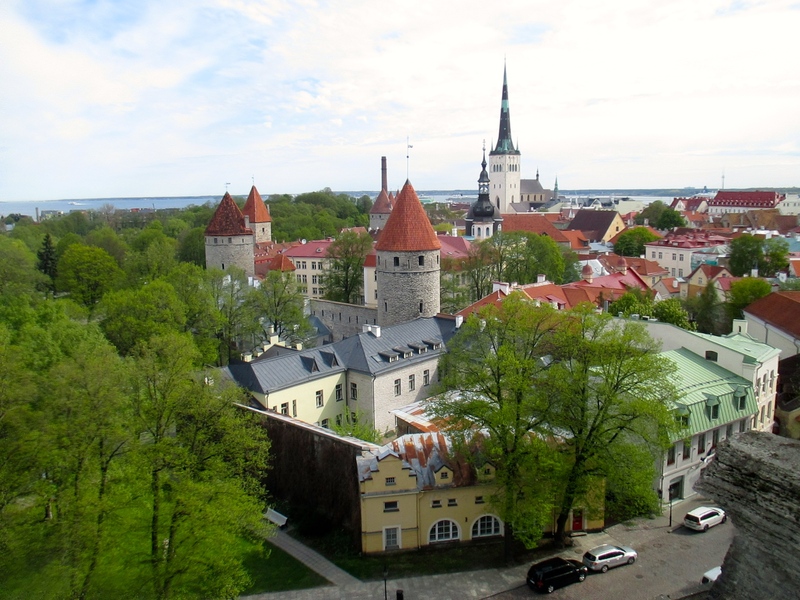 Estonia is one of the most technologically advanced countries in Europe (it is the headquarters of Skype, and has free WiFi almost everywhere). 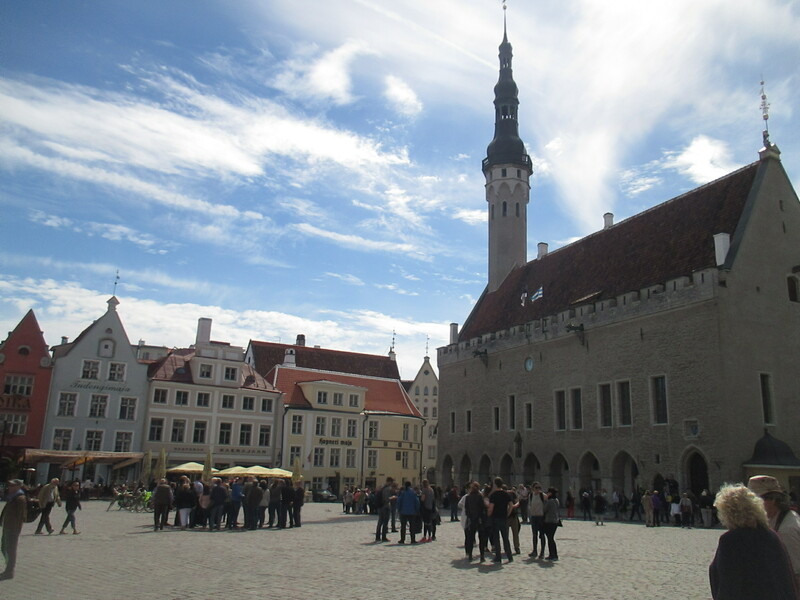 Estonians we interacted with spoke better English than many more developed countries I had visited (perhaps because the Estonian language is one of the most difficult to learn in the world, English is much easier to pick up). The farms and small villages we saw are clean and prosperous – they look more like those in rural Wisconsin than in the other ex-Soviet countries I’d visited. 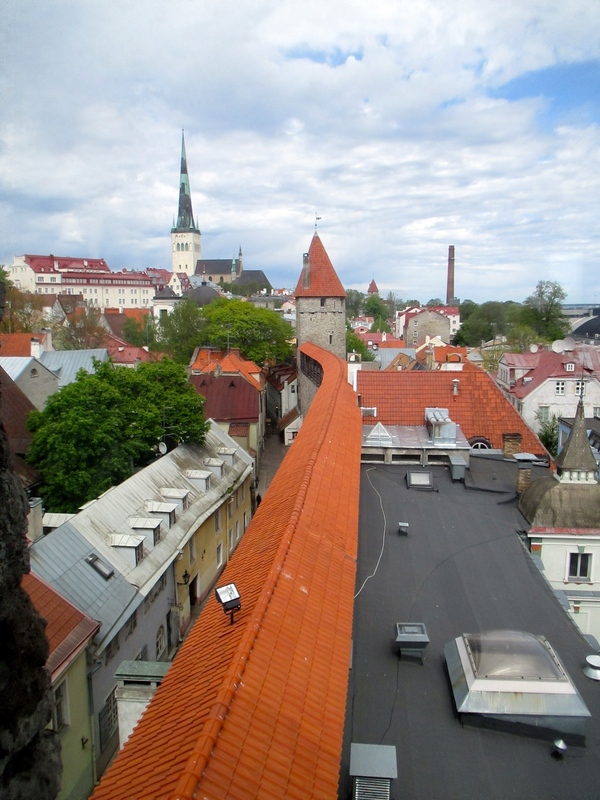 Despite a significant Russian minority population, Estonia has had little ethnic unrest and has had a stable democratic government since independence. And public and private sector alike appear to have done much to establish a comfortable infrastructure for an emerging tourism sector, as EU membership has made the country very accessible. 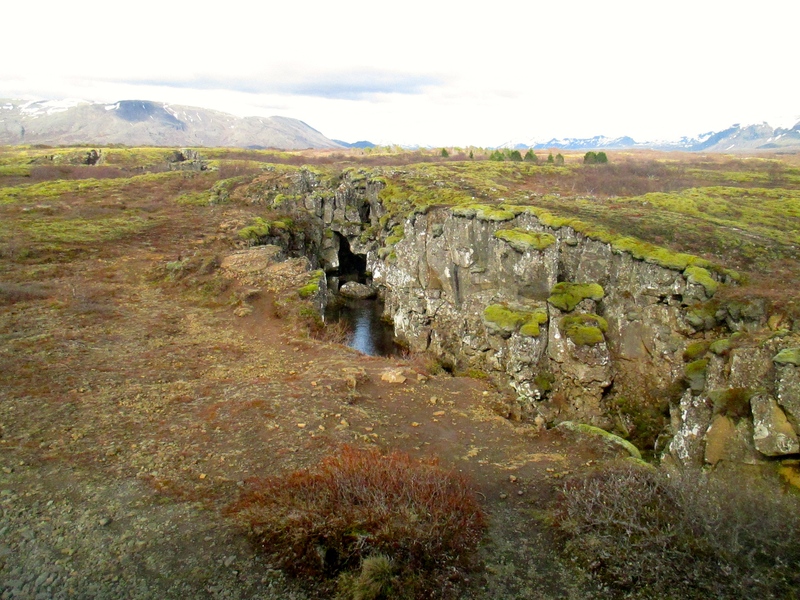 Our trip had two parts, one focusing on the historic and one on the natural areas of the country. 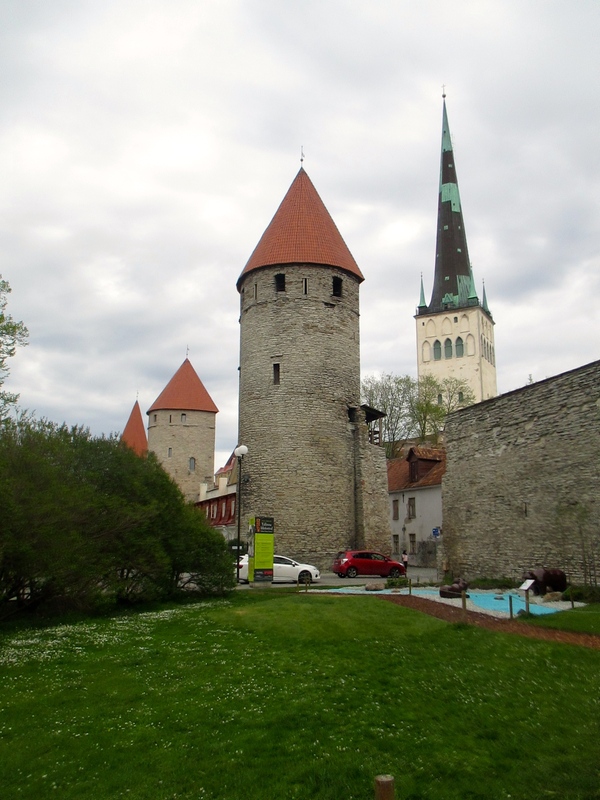 We started in the capital Tallinn, home to a strikingly well preserved medieval city center, still with its original fortifications and town square. While daytrippers from Finland, stag parties from the UK, and passengers on Baltic cruise ships have all discovered the city, leading to a profusion of tacky souvenir shops and overpriced restaurants, the old city is still very fun to explore, looking at the multitude of different faiths represented in its churches, learning about the relics of Tallinn’s status as Reval, one of the largest Hanseatic cities in the Eastern Baltic, which gave it a strong German influence and a Lutheran heritage (despite Tallinn’s numerous churches, Estonia is today one of the most irreligious countries in the world). 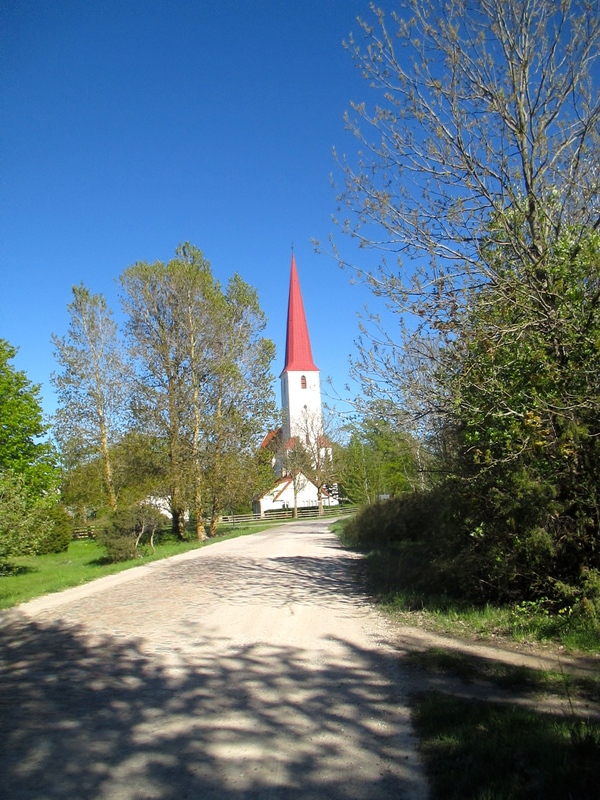 The second part was spent on Saaremaa, Estonia’s largest island. 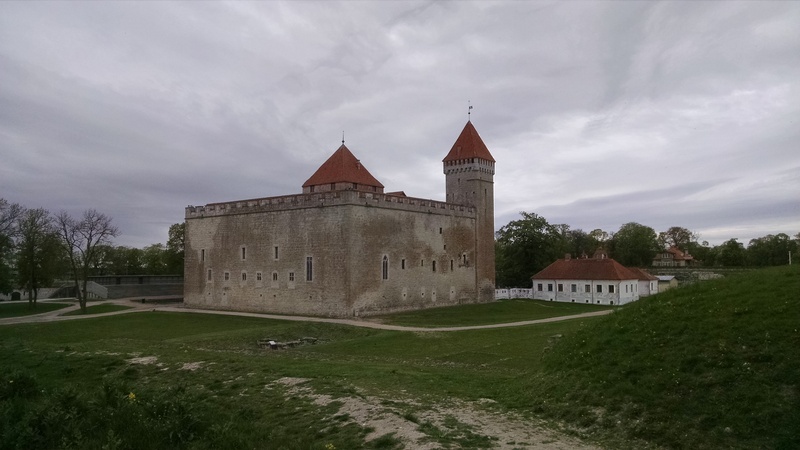 Saaremaa’s main city, Kuressaare, also features an impressive medieval castle, where we stopped briefly. 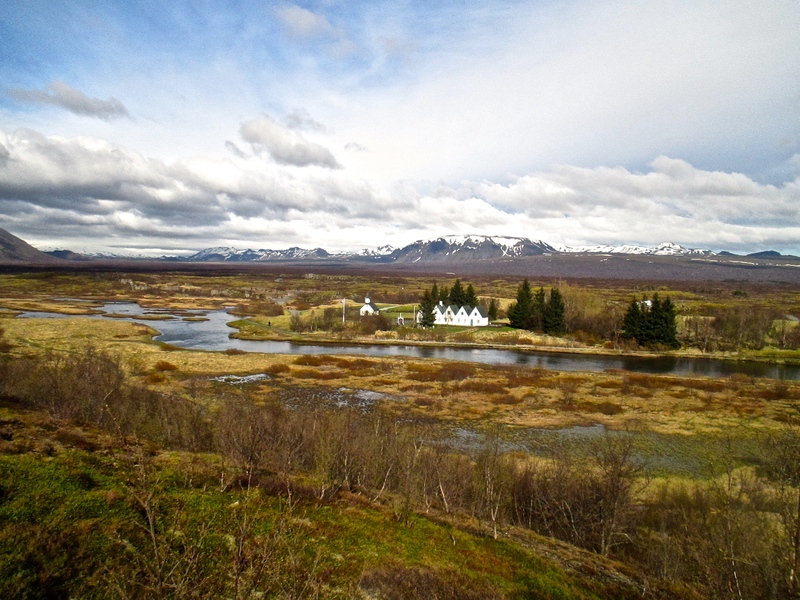 Most of our time, however, was in the small hamlet of Kihelkonna, one of the gateways to Vilsandi National Park. 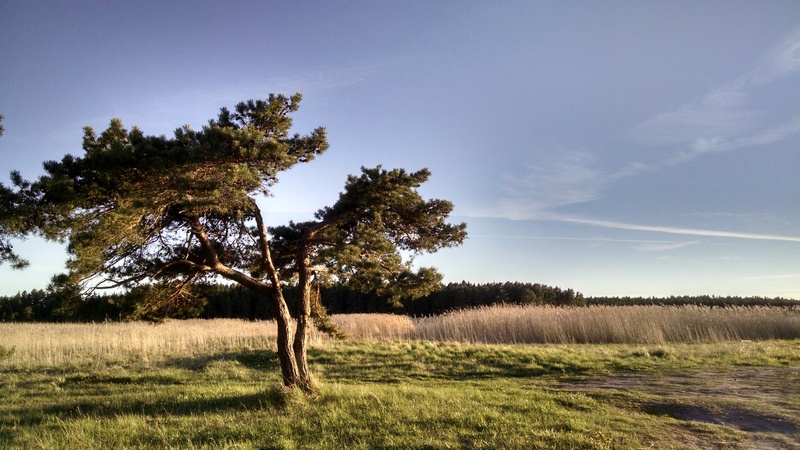 Tiny as it may be, Estonia boasts a wealth of biodiversity and protected areas, and has more trees per capita than anywhere else in Europe. 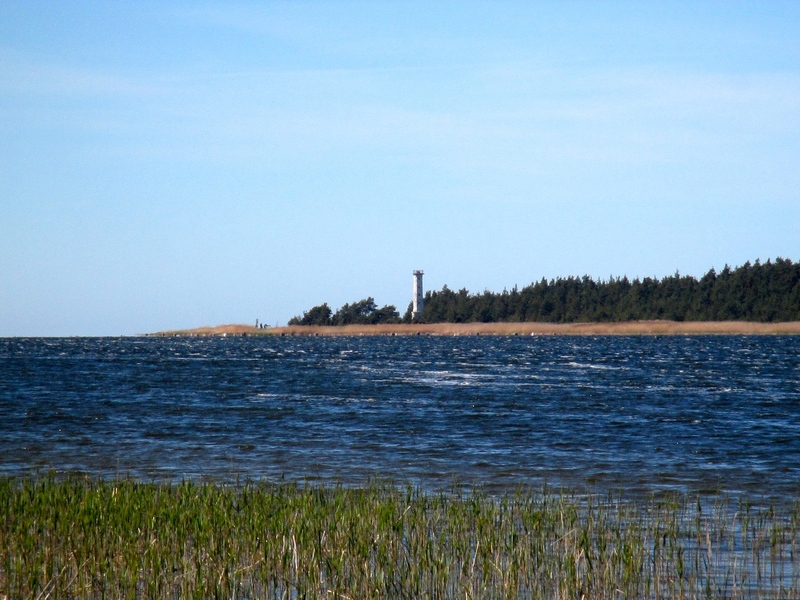 Vilsandi consists of dozens of small islands and a long stretch of Estonia’s westernmost coast, making it a key breeding area for various bird species, and in summer a destination for biking and water sports. 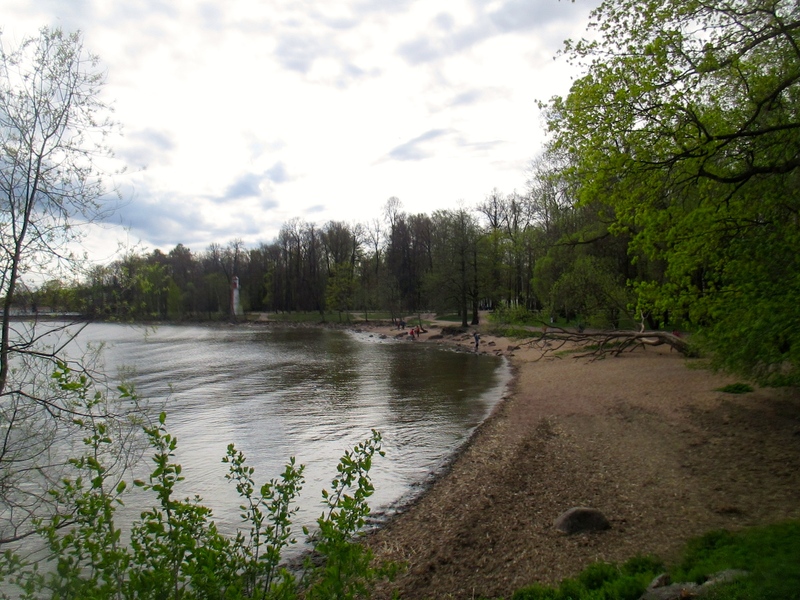 But in a still cool May, the park was deserted except for the birds, some local farmers, and us. 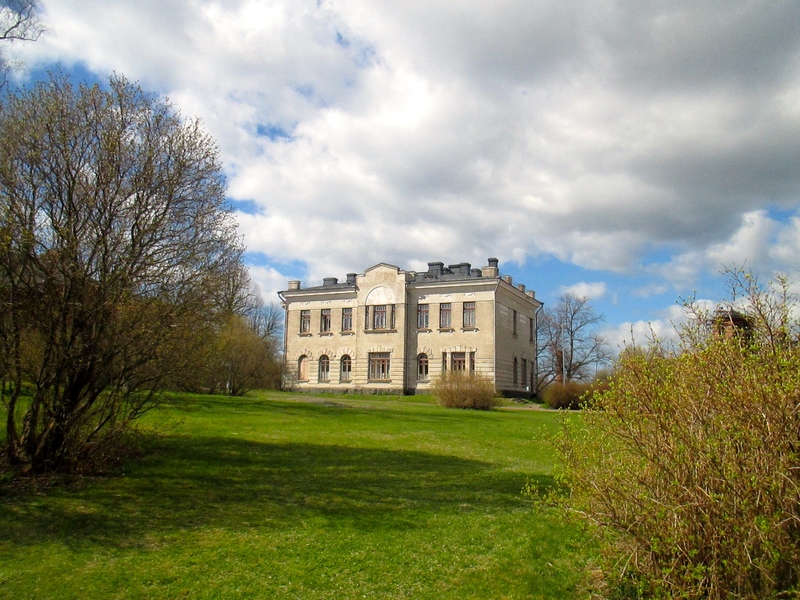 Even an orchid festival in Kihelkonna was not enough to draw in the tourists – we were the only guests in our church office turned bed and breakfast, one of only a couple accommodations in the area. 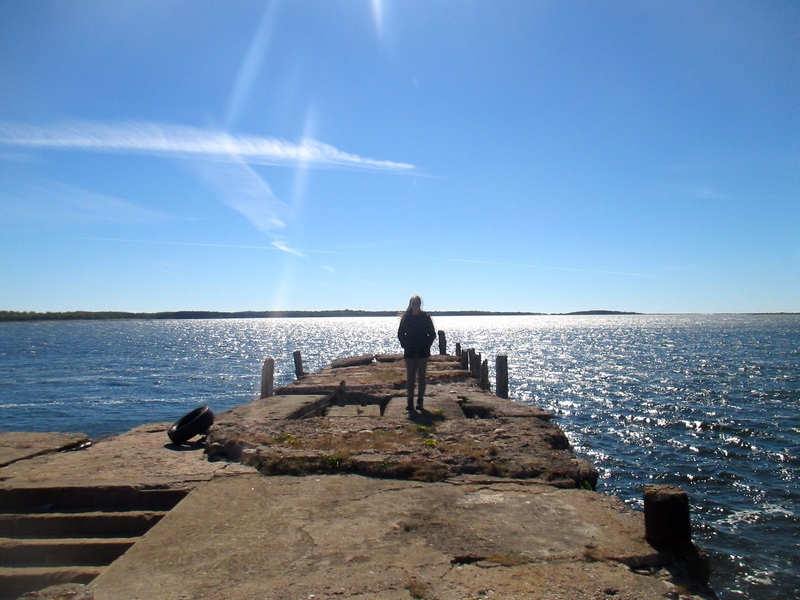 I left Estonia wishing I had had another day or more to explore the country. But all vacations must come to an end, leaving only ideas for the next trip. And when that next trip happens, I’ll write about it here. P.S. 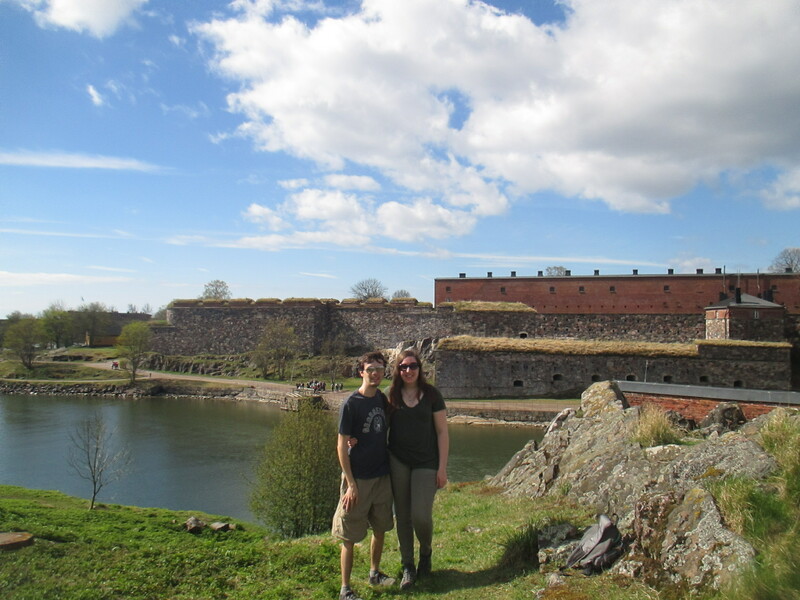 Special thank-you to Marit for putting up with my trip planning, poor navigation skills, and general impatience for these two weeks. 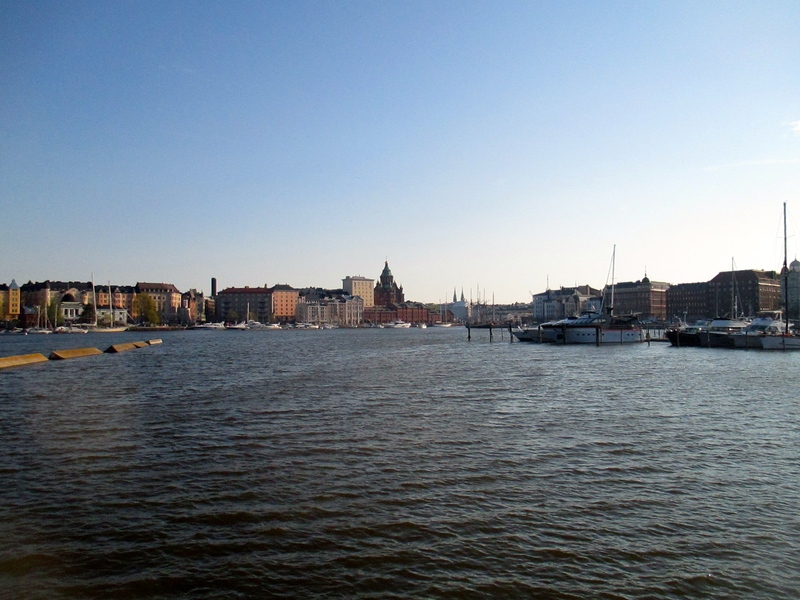 This was my second time traveling to Stockholm, the first time I’ve already written about here. 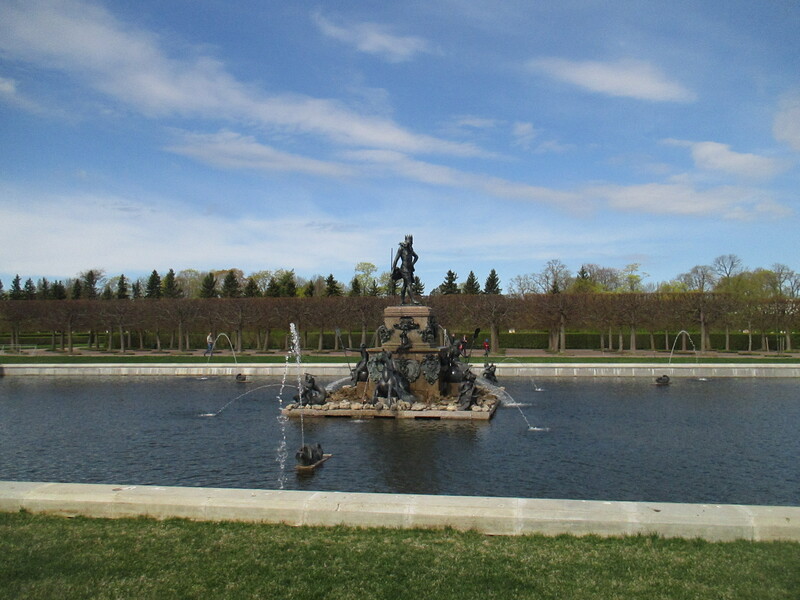 As a result, I will not go into detail about it in this post, other than to say it was just as pleasant the second time around, and the city looks and feels much different in May compared to December. With the amount of people out in cafes or parks, it seemed like the city (and the others we visited) was finally experiencing its first breath of summer, perfect timing for our arrival. 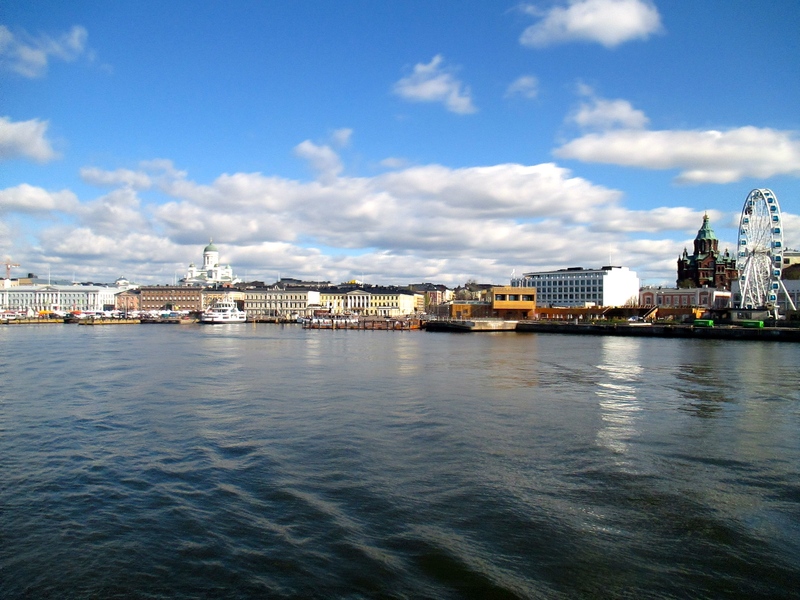 My next Scandinavian capital, Helsinki, was a new experience – but not totally. 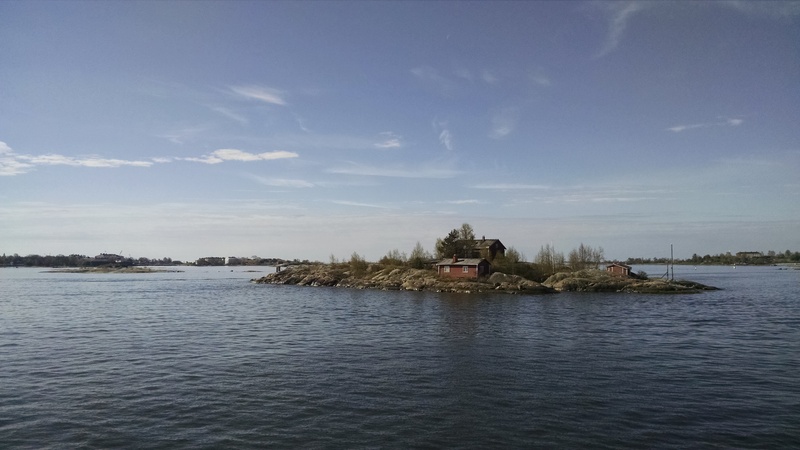 Helsinki certainly bears more than a passing similarity to Stockholm due to its own network of islands and bays and the many centuries of Swedish rule that shaped it (of course, the language is completely different, and completely incomprehensible without study). 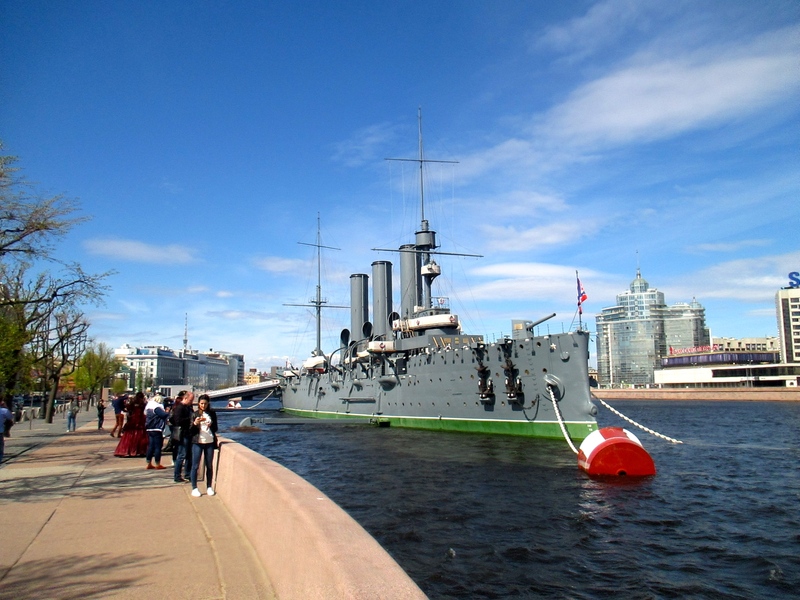 However, it is almost all on a smaller scale, as Finland did not exist as a country until after WWI, and Helsinki was only a minor military and administrative center before that time. 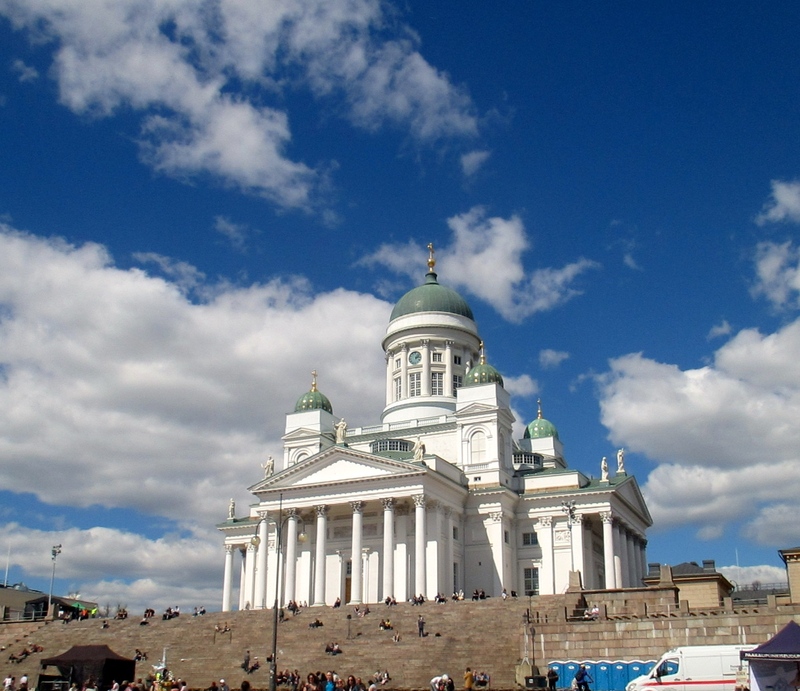 There are certainly some impressive monuments such as the Helsinki Cathedral (Lutheran) and Uspenski Cathedral (Russian Orthodox), if not the wealth of historic grandeur found in central Stockholm or other European capitals. 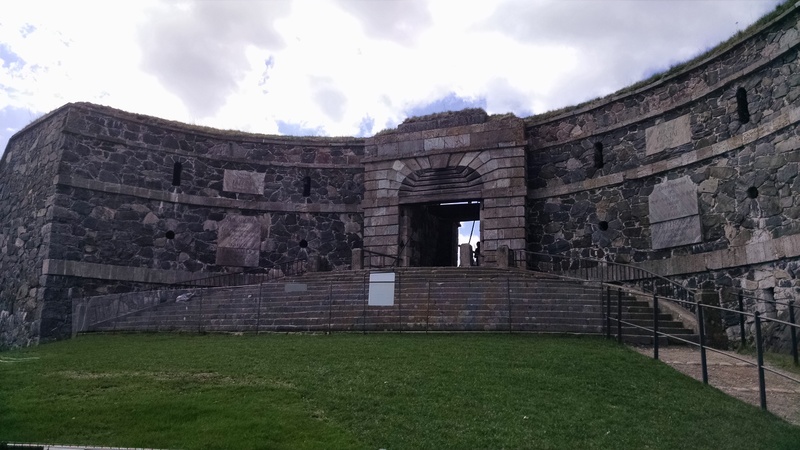 However, Helsinki’s most impressive collection of history is found a short ferry ride from downtown on the island fortifications of Suomenlinna. 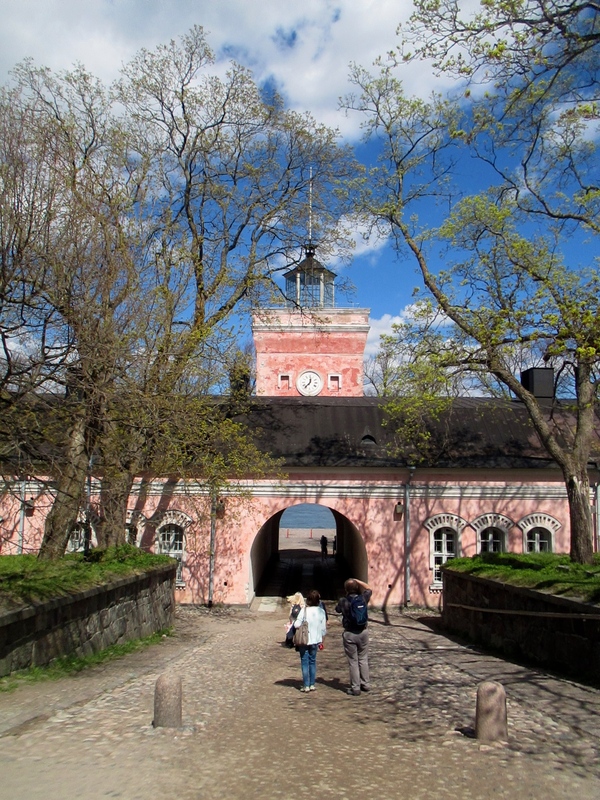 Founded in the 18th century as a Swedish naval base, and passing into Russian and Finnish hands, this “Gibraltar of the North” had an undistinguished military career but was at one time the second largest population center in Finland, and there are numerous relics from both its military and civilian uses, making a popular day trip and where Marit and I spent most of our limited time in Helsinki. 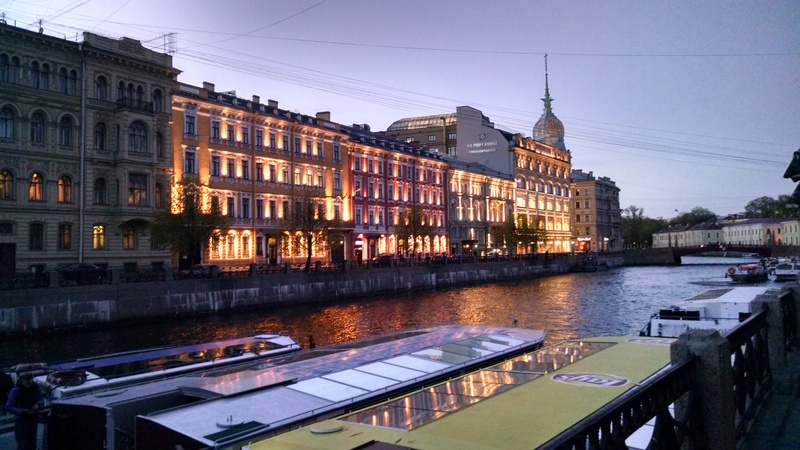 After Helsinki came St. Petersburg, a fitting choice since this city and Stockholm played so much of a role in determining the history of Helsinki, caught in the middle. Russia is certainly a very different culture than Scandinavia, though this came as no surprise given my travels in Russia last year –despite St. Petersburg’s historic connection with the West and developments befitting a modern metropolis, is not too different than Irkutsk or Ulan-Ude (though pricier and much more crowded with foreign visitors). 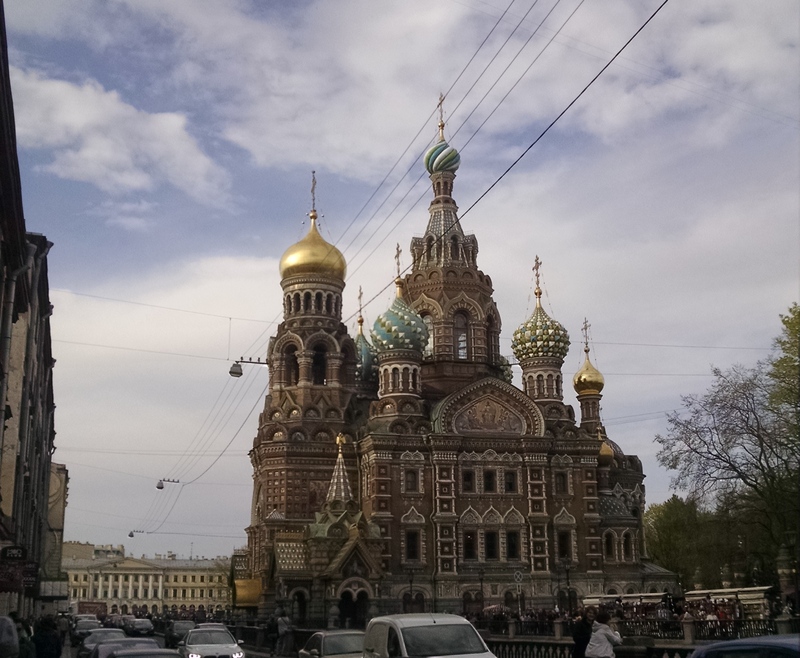 Either way, St. Petersburg is a stunning city, and the wealth of spectacular churches and palaces make it easy to forget that this city was founded from nothing in 1703, making it one of the youngest European cities. 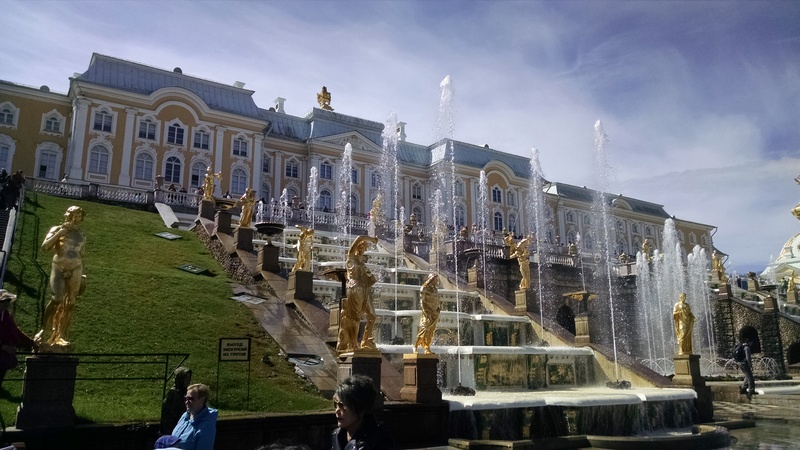 Despite the current media focus on Russo-American interactions, being American did not elicit any particular interest (though depictions of Trump were to be found among the usual tourist kitsch). 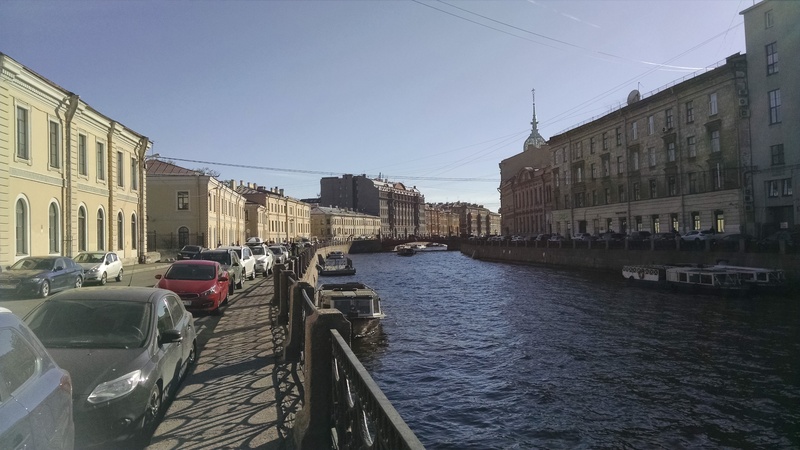 However, there did seem to be an unusually high military presence – perhaps the result of the tragic terror attacks on the St. Petersburg subway earlier this year. While in the city, we visited the artistically splendid Church of the Savior on Spilt Blood, the imposing Kazan and St. Isaac’s Cathedrals, the Hermitage (which was far more impressive for its palace design than its art collection), among other sites; went to the opera at the famed Mariinsky Theatre (true, it was the Magic Flute at the modern Concert Hall, not Boris Godunov at the historic hall, but last-minute spendthrifts can’t be picky) and spent plenty of time strolling past the canals and gardens of the central city. 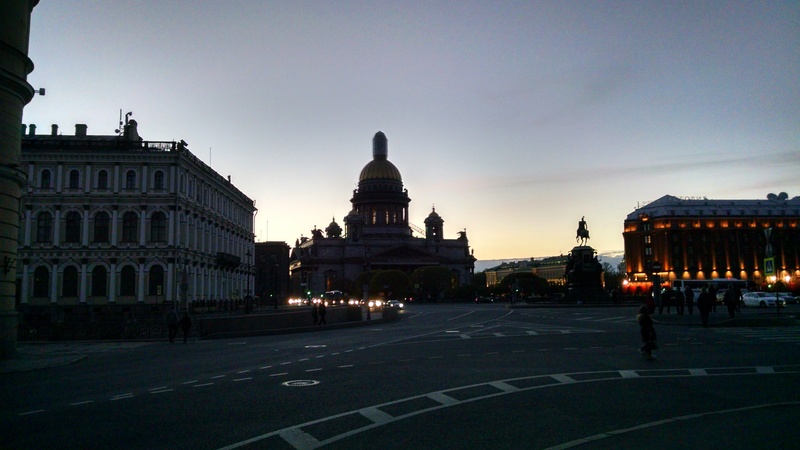 We also took advantage of the cultural diversity of the city, home to many migrants from other parts of the Soviet Union, in dining on Georgian, Uzbek, and Ukrainian cuisine in addition to standard Russian fare. 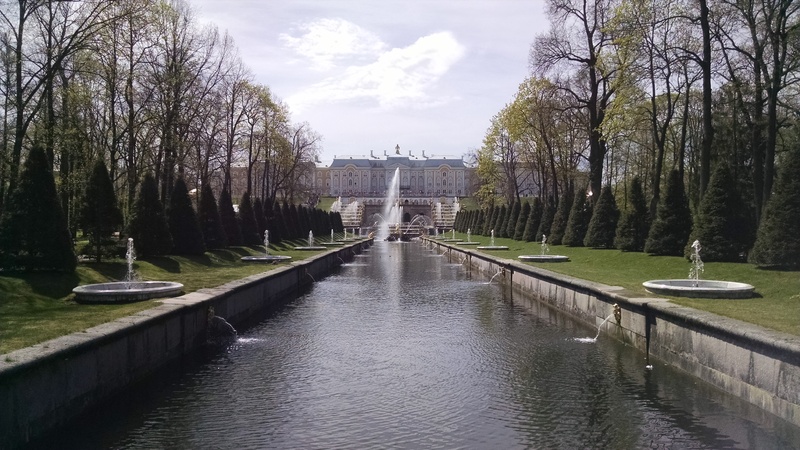 However, my favorite part of St. Petersburg was taking a trip out to the suburbs to visit Peter the Great’s seaside retreat at Peterhof. 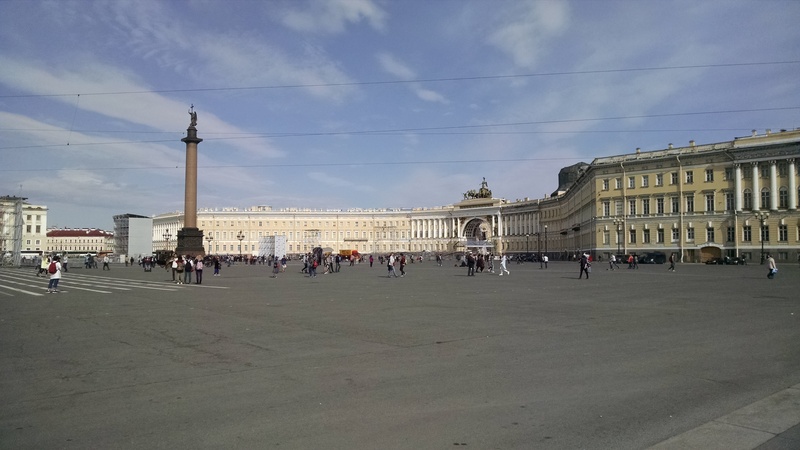 As befits an old imperial capital, St. Petersburg is surrounded with multiple tsars’ summer retreats, and while Peterhof was the only one we had the time to visit, it was the perfect choice for a beautiful spring day. 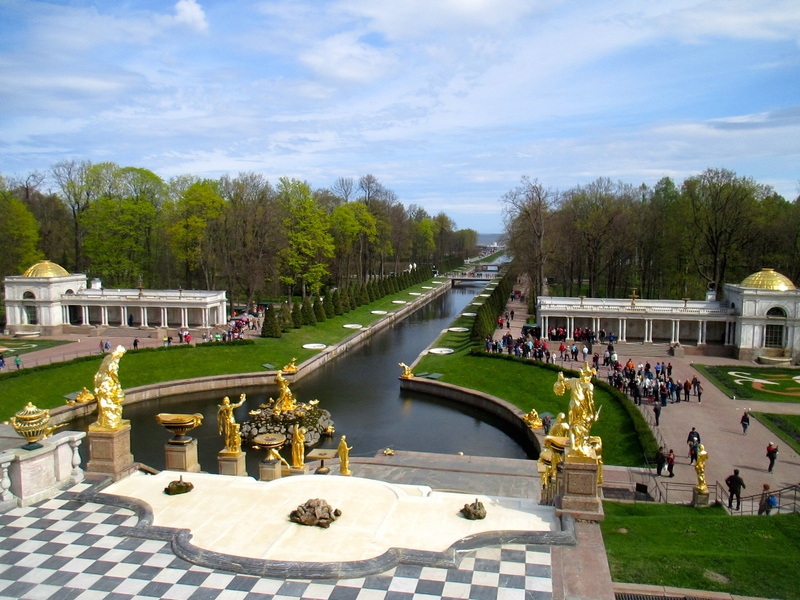 Peterhof is famed for its gardens, which provide a striking view but also have plenty of space to get lost from the crowds in a quiet natural spot or to discover a hidden pond or fountain. 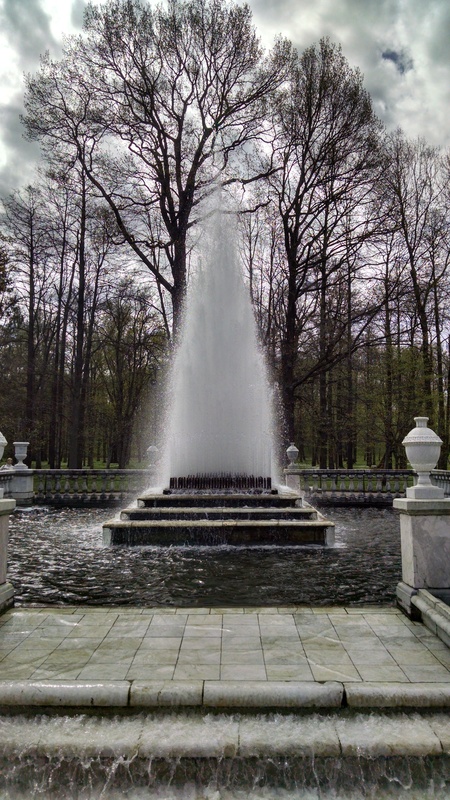 The top draw at Peterhof is its fountains, which are undeniably gorgeous and likely unparalleled in Russia. 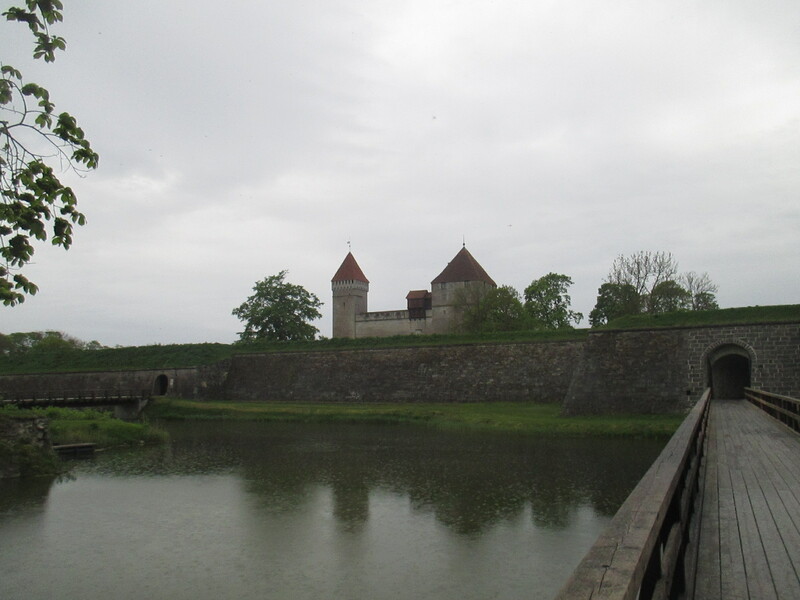 After 3½ days in St. Petersburg, we headed out on an overnight bus to the last country on this vacation, Estonia. Why does that tiny state deserve a separate post when some of the most spectacular cities of Northern Europe are lumped together here? You’ll have to read the next post to find out. 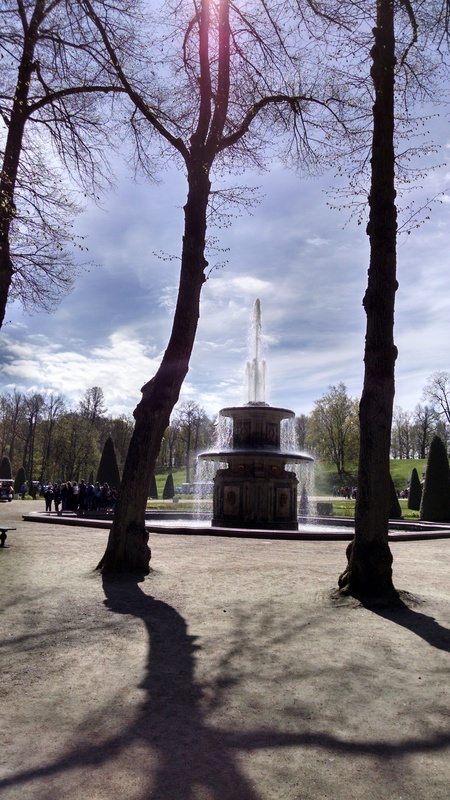 I am currently traveling with my sister Marit, and as I have tended to do when traveling, reopened this blog to share pictures and memories. 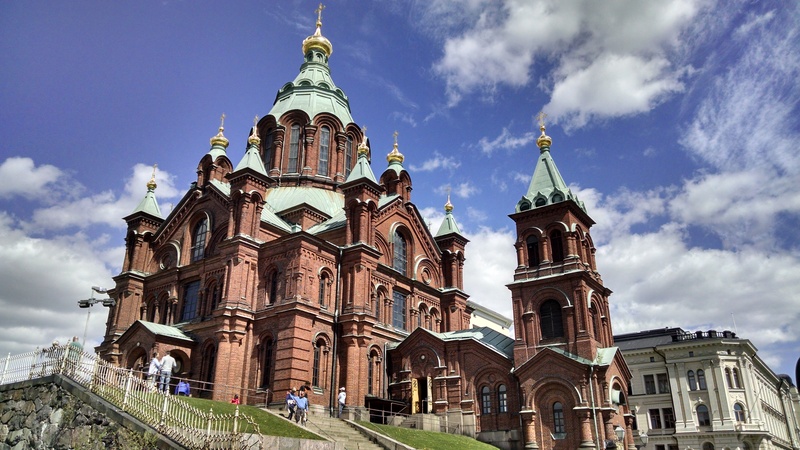 This vacation is two weeks in Iceland, Stockholm, Helsinki, St. Petersburg, and Estonia – admittedly as not as off the beaten path (or as cheap) as some of my last trips, but no less spectacular as destinations. 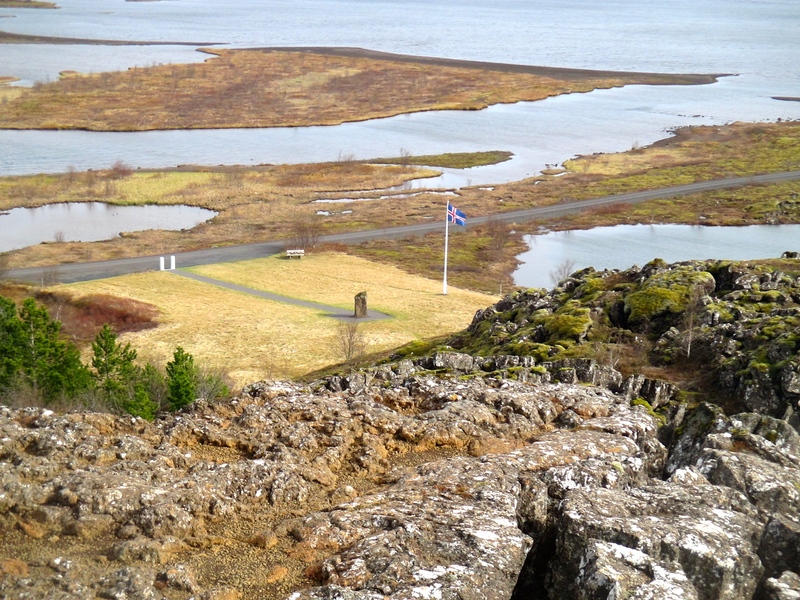 The first stop was only a five-hour flight away from DC: Iceland. 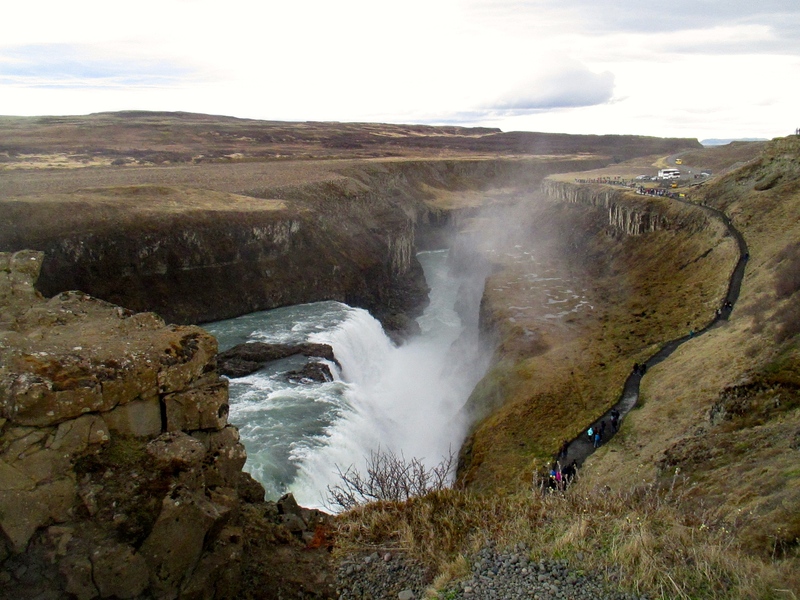 Iceland was originally just a stopover on the way to continental Europe, now a popular occurrence due to the special layover options offered by Icelandair and WOW Air for no extra cost, but even in the two short days I was there I was taken aback by the country’s natural beauty and it may easily end up being the favorite destination of my trip. 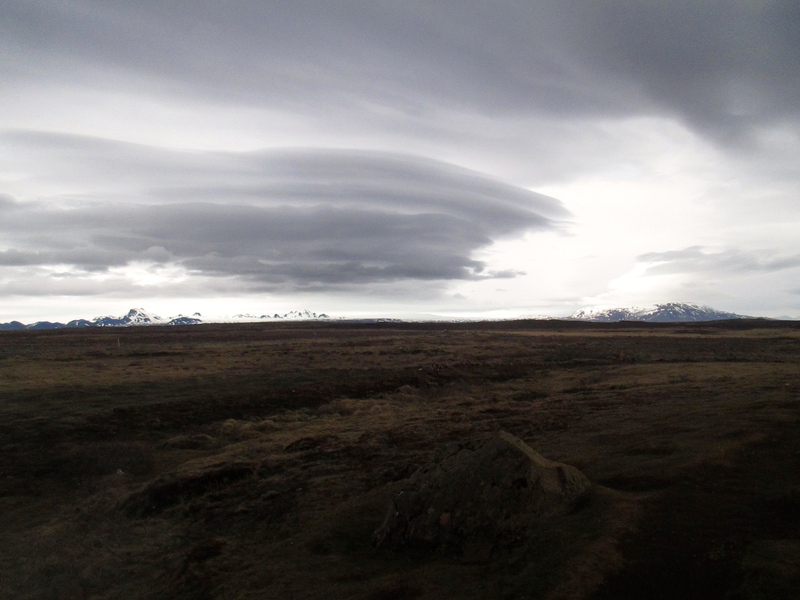 Due to its geologically active location, Iceland has always had an extraordinary landscape of glaciers, fjords, and geysers, but its remoteness made it off-the-beaten path as a tourist destination until recent years, when tourism has exploded (we were told by a guide that 2 million tourists are expected to visit Iceland this year, six times the total native population). 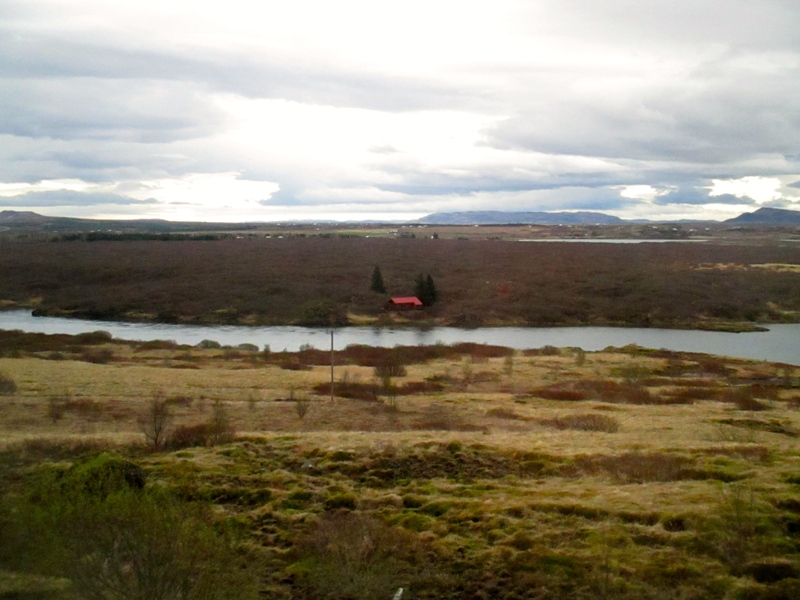 Still, we arrived before the busy season, and while the top destinations had some crowds, much of Reykjavik and the countryside were still unspoiled (admittedly, the timing also meant windy, cold, and intermittently rainy weather for most of the trip). 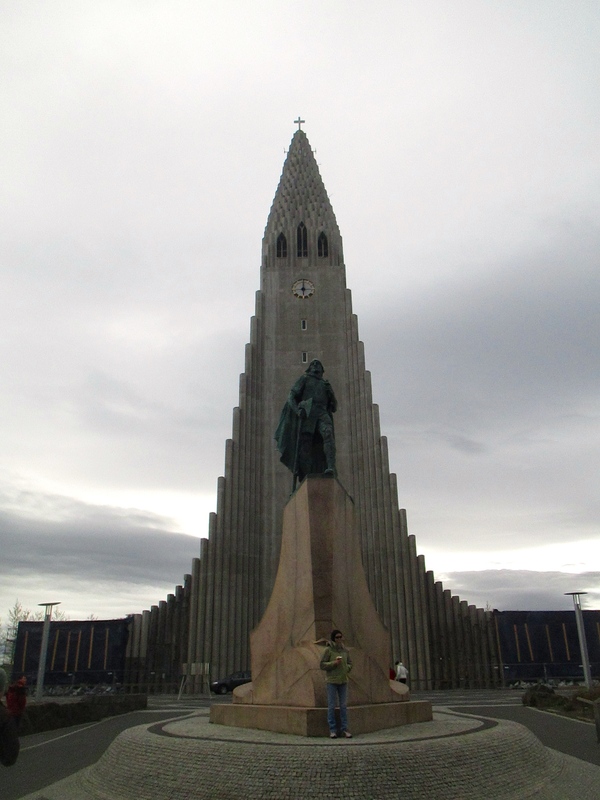 Our home base was Reykjavik, the capital and center of Icelandic life (2/3 of the population lives within the Reykjavik region, even though this is only 200,000 people). 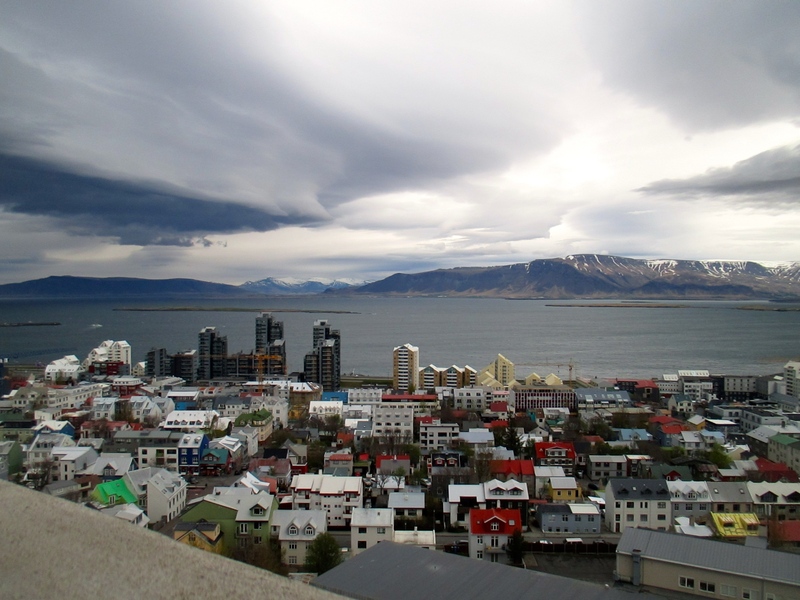 Reykjavik is a quite pleasant city, with little traffic and pollution and great vistas across the bay, though despite the growing role of tourism in Iceland’s economy it is still a working city with a large fishing port. 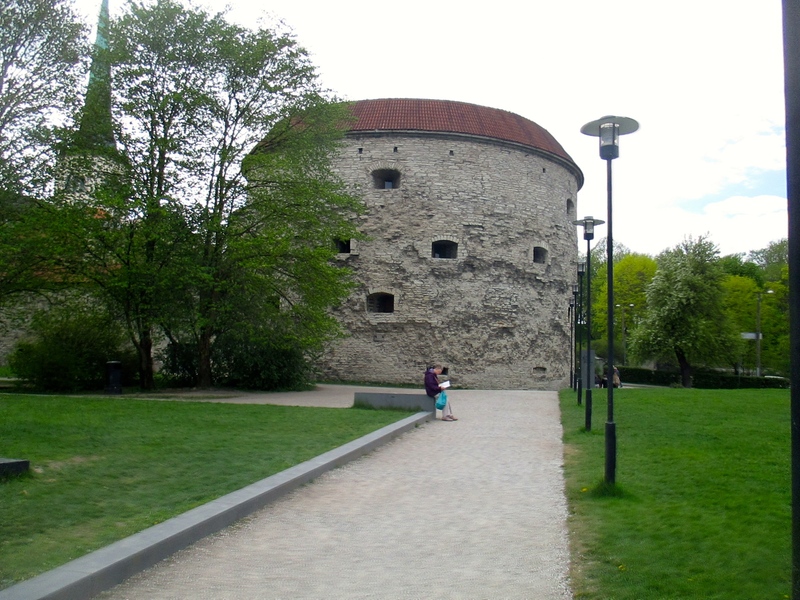 However, as a city that only came into being around a century ago and one traditionally removed from the cultural and economic flows of Western Europe and the Americas, it has few monuments or historical sites, and its unadorned architecture is unexciting (though there are certainly exceptions, such as the unique modern Hallgrimskyrka Cathedral). 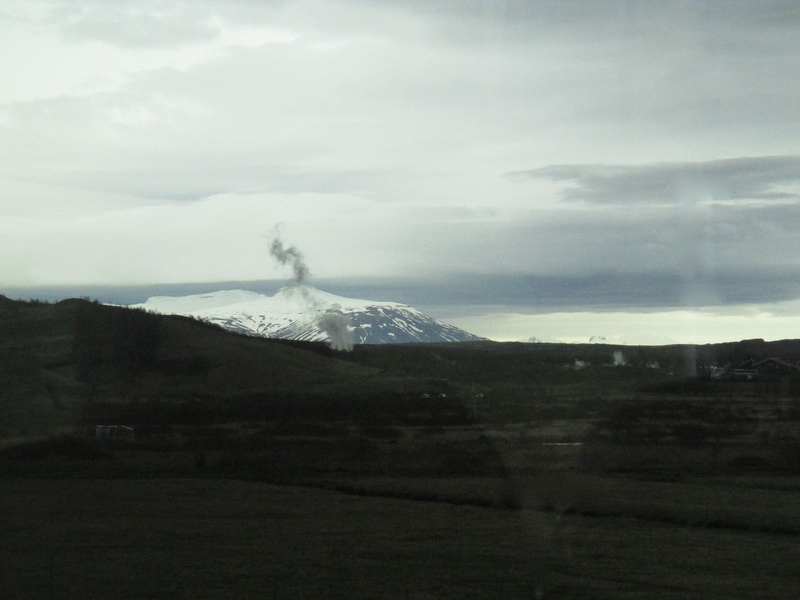 But Iceland’s attractions lie primarily outside of the city. 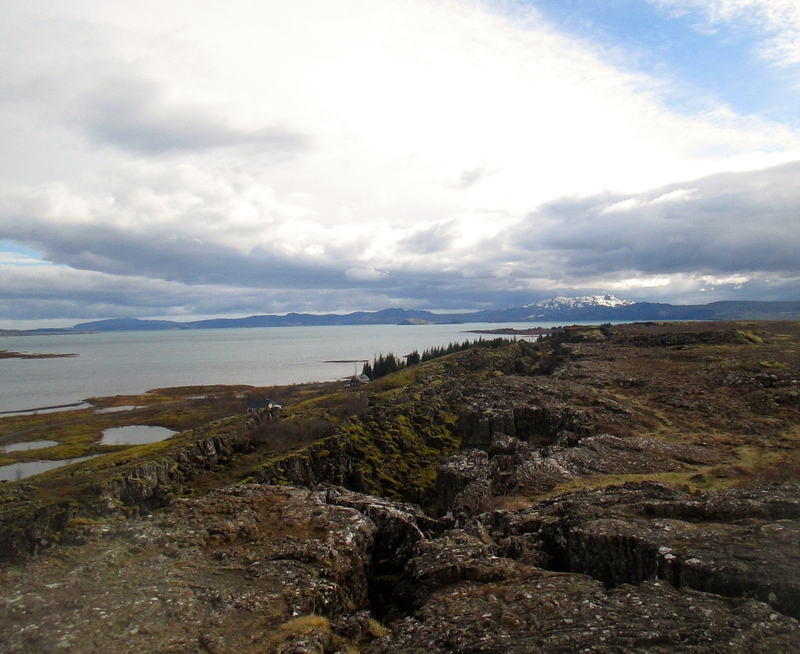 In two days, we did not have time to do the Ring Road or other excursions to the wilder parts of the country, however many fantastic features are found within an hour of Reykjavik. 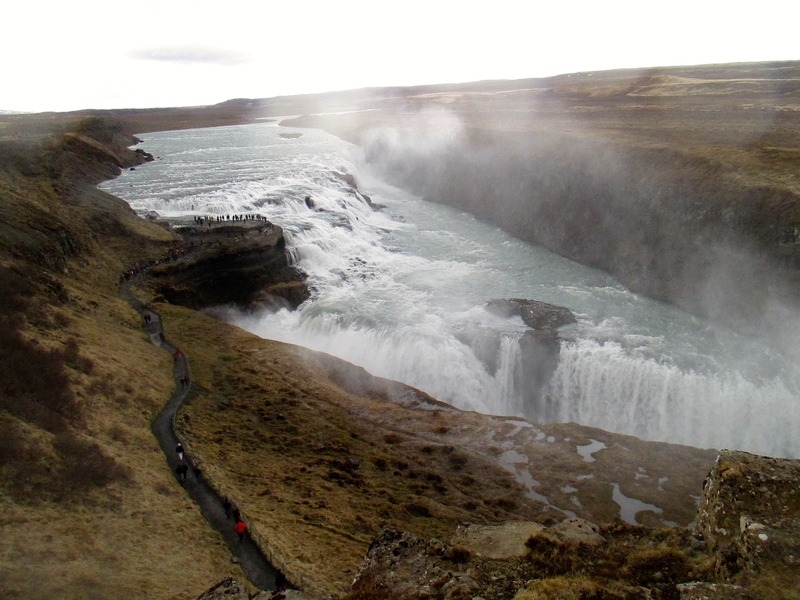 Most of our first day was spent on the Golden Circle tour, a classic, if crowded, day trip to the best of Southwest Iceland. 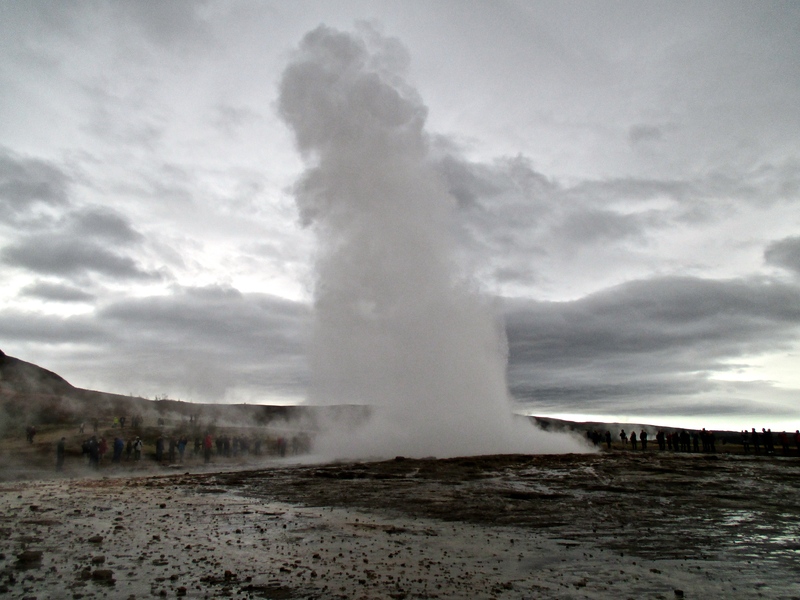 This route includes the Geysir thermal basin (though the eponymous geyser – where the word “geyser” comes from – is dead, and the actual eruptions were by its sister geyser Strokkur), the Gullfoss waterfall, and Thingvellir National Park, site of the geological boundary between North America and Eurasia (an obvious system of crevasses and raised plateaus) and the Althing assembly, the first democratic system in Northern Europe. 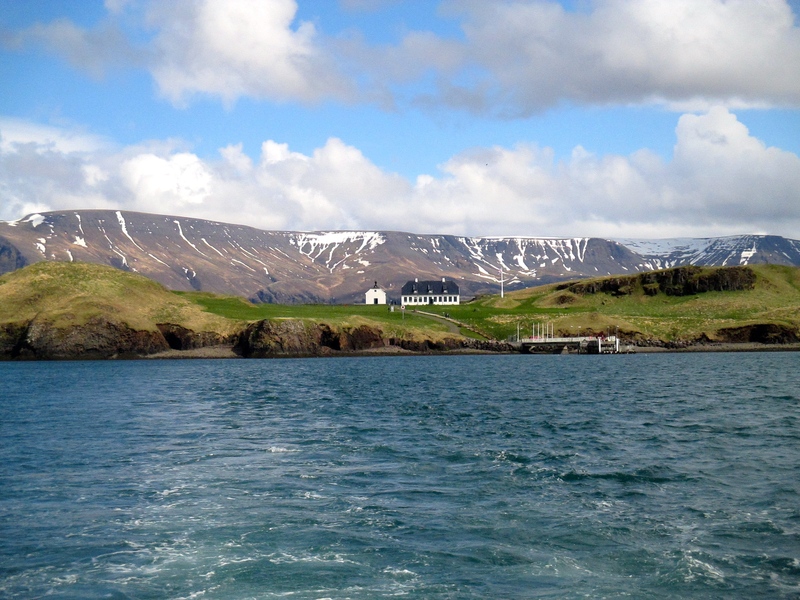 The second day brought us first to the islet of Videy, just a 15-minute ferry ride from Reykjavik. 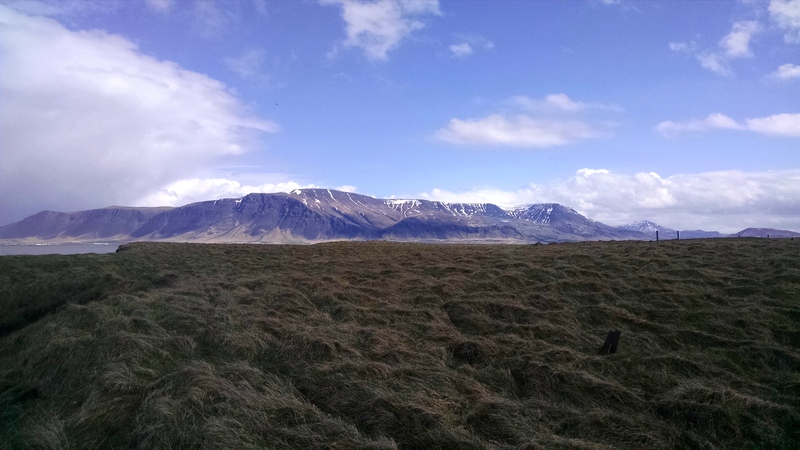 Though quite small, Videy includes an abandoned village, seabird nesting colonies, and modern art installations, all framed by phenomenal views of Reykjavik and the surrounding mountains. 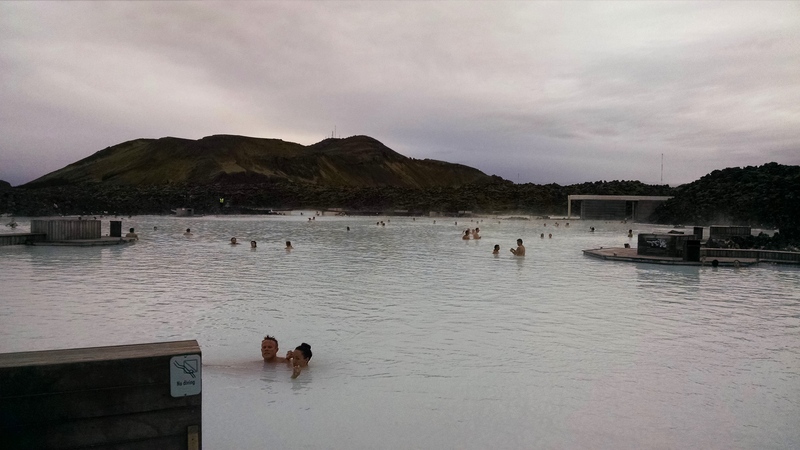 That evening’s trip was to the Blue Lagoon, a world-famous hot spring said (like most other hot springs) to have healing properties and another representation of Iceland’s continuing geothermal activity (luckily, we did not experience a volcanic eruption, which is a danger in Iceland). This trip and this blog ends in Beijing, a fitting culmination to such a journey as I had done over the past few weeks, and a major change from the mountains, steppes, and isolated, semi-modernized or decaying Soviet cities that encompassed most of my earlier travels. Few cities possess such a wealth of historical attractions as Beijing – yet few are also as vibrant and modern. Around every corner was a temple, palace, or other reminder of China’s 5000 years of history, yet Beijing was unmistakably a 21st century city, with the infrastructure, technology, and economy to match (recent economic troubles notwithstanding). Many sites, including the Summer Palace and the Great Wall, have been reconstructed from the original (the former was burned by European forces during the Opium Wars, the latter has decayed over thousands of years and needs refurbishment to be safe for visitors – some of the older sections have no battlements, leaving a straight drop down the mountainside), and much of the greatest artifacts of China are now found in Western collections, yet Beijing still boasts a remarkable snapshot of many eras of history. My hostel was located in the historic center of Beijing, in the midst of the hutong alleyways (though this specific one had been modernized for tourists), surrounded by the Forbidden City and a network of historic mansions, parks, and religious sites that had once served the aristocracy of Imperial China. The hostel itself was arguably the top hostel in China, and I greatly appreciated its free breakfast and piano, both of which I had missed throughout the rest of the trip (the heat and rain which unfortunately marked much of my time in Beijing were less appreciated – though I did avoid the notorious smog). Beijing was also different from the rest of my trip in that I spent much of my time traveling with my friend Sang, who had studied abroad in Beijing and knew Chinese. Having him with me really helped me get the most out of Beijing, especially since I was able to try authentic Chinese cuisine that was immeasurably better than that found at Chinese restaurants in America, and much cheaper than in the tourist restaurants – Beijing’s specialties are dumplings and Peking duck, both of which are absolutely stellar at the right places, and I have many recipes I now wish to recreate at home. While in Beijing, I hit the most famous tourist sites – the Forbidden City, Summer Palace, and the Great Wall, as well as multiple smaller (though still crowded) attractions such as the Yonghe Buddhist temple, the Drum and Bell Towers, and the Wangfujing Food Street, checked out Sang’s university campus, and haggled for souvenirs at Panjiayuan, Beijing’s antique market. Of these, the Summer Palace was my favorite due to its architectural wonders and empty western shore, though the Great Wall also provided some amazing views and a solid hike (though it is not a place for those afraid of heights, like me). My tour took me to a section of the Great Wall that is further from Beijing than the usual access point, and due to this distance it was almost empty save for my group, unlike the closer sections which are overrun with tourists and souvenir vendors. The Forbidden City, while impressive in its scale, was less attractive due to the uniformity of its halls, as well as the crowds of tourists everywhere. 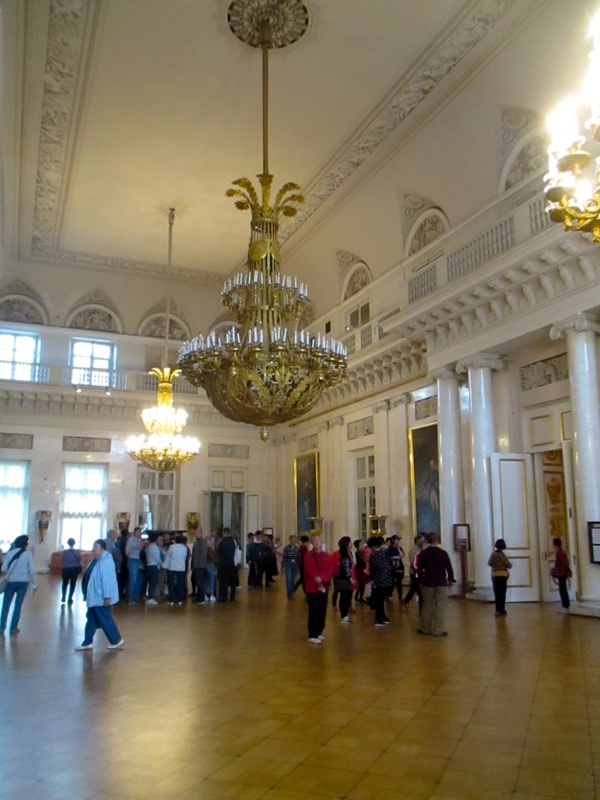 But while these may have been the top excursions, all the places I visited were very interesting, and I could have easily spent multiple days more in Beijing, as there was far more I did not even try to visit. The fact that most of the other tourists in these locations were Chinese testifies to the development of China’s own middle class and their ability to travel both internally and internationally (Chinese tourists were probably the largest national group in most of the other places I had stayed as well). Interestingly though, while Beijing was the largest city I visited (save for Tokyo), China was the country where I had the least interaction with local people – the language barrier was a large factor in this, though here I also did not stay with a host family as I had in Mongolia and Kazakhstan. Despite the prevalence of certain Western companies and styles in Beijing, there were still signs of the Communist Party’s monopoly of power. The only bothersome part of this was the restrictions on the Internet, but the grandiosity of Tiananmen Square (and its monuments to Mao Zedong) definitely showed a totalitarian aesthetic, and the National Museum was over half devoted to pure propaganda – both in art and history. There was also a larger police presence than what is usual in large cities (though not nearly as obvious as in Urumqi). Undoubtedly there are other restrictions that are less obvious to the casual visitor, but overall the government did not seem overly intrusive in the lives of Beijing citizens. 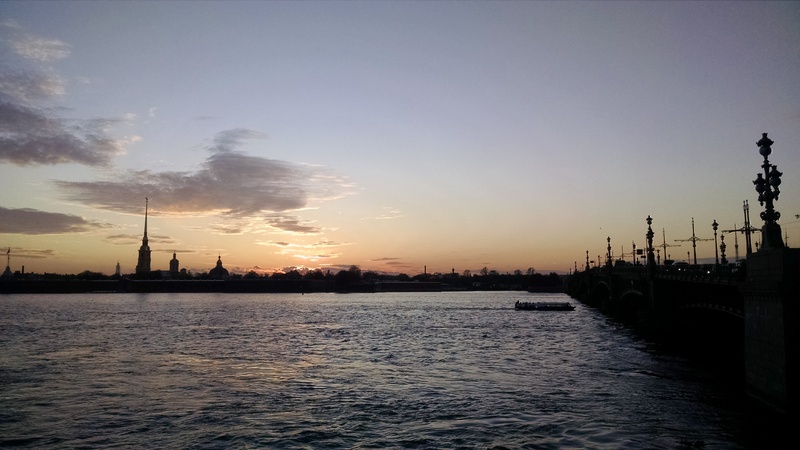 My trip is now over, so it is time to put this blog back into hibernation, but a new adventure will always come along, and probably not too far from now. Thanks for reading! 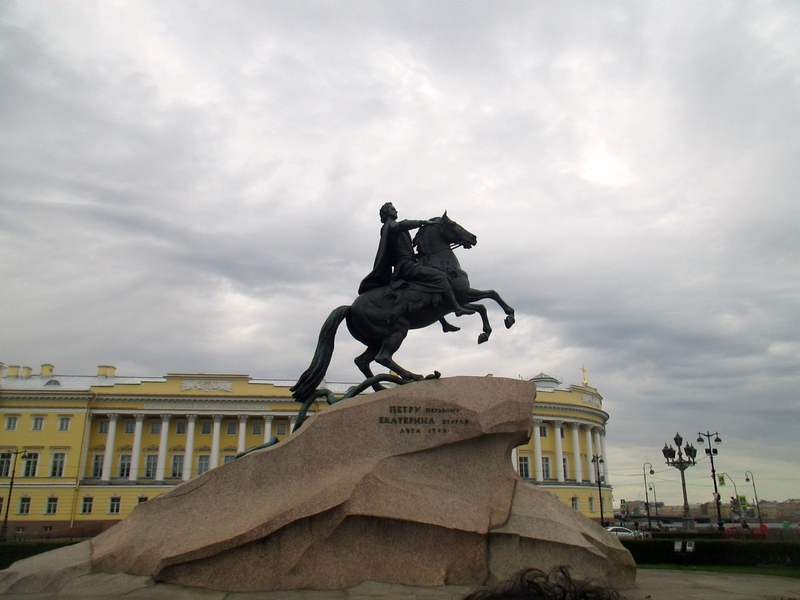 Siberia was once Russia’s wild frontier, like the American West, and Irkutsk its center of trade, culture, and administration. 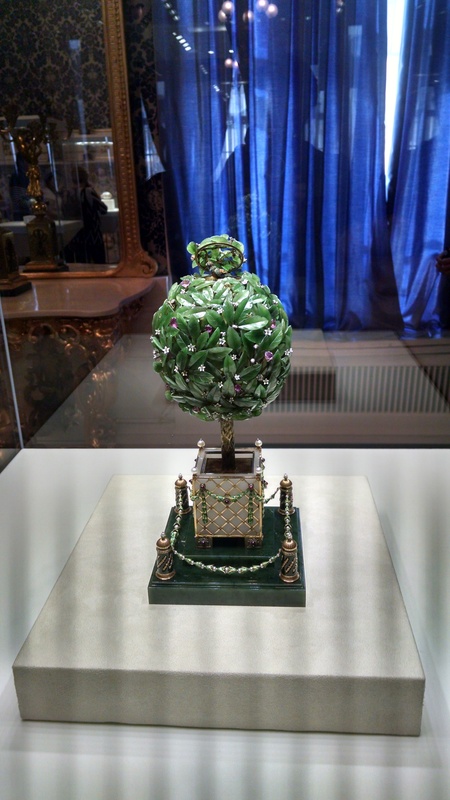 Relics of this past are still a major part of the city – to an extent. Many old wooden buildings are scattered across the old part of the city, but Irkutsk has taken a different approach to its history than the options of development or preservation found in most of the rest of the world. These buildings, primarily former homes of merchants, are kept in the city, but as private real estate instead of a park. But since these homes have no running water or central heating (essential in the Siberian winter), they are unattractive as residences, and as a result most are slowly rotting away. Between this and the Soviet factories and decaying apartment blocks that ring the outer parts of the city, Irkutsk looks like an interesting cross between Tombstone, Arizona and Gary, Indiana. Irkutsk nonetheless possesses a range of attractions that represent the different periods in its history – trading outpost, frontier capital, place of exile, Civil War conflict zone, and modern metropolis, which display the complexity of Russian history – while the main streets are named after Lenin and Marx, the city nonetheless possesses prominent statues of the tsars and White Army commander Admiral Kolchak. 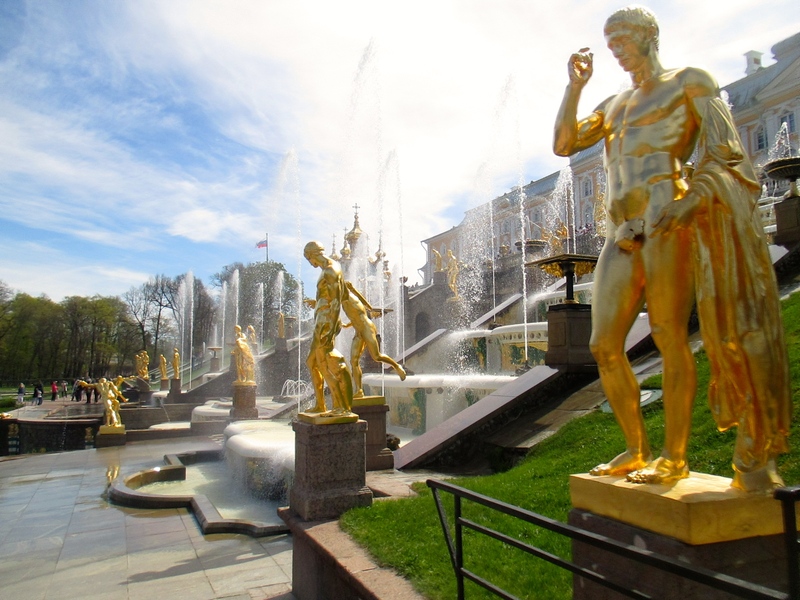 Irkutsk is called the Paris of the East, which adequately captures its numerous cafes and historic character, but is a long way from having the same caliber of attractions – its main virtue is its proximity to Lake Baikal. 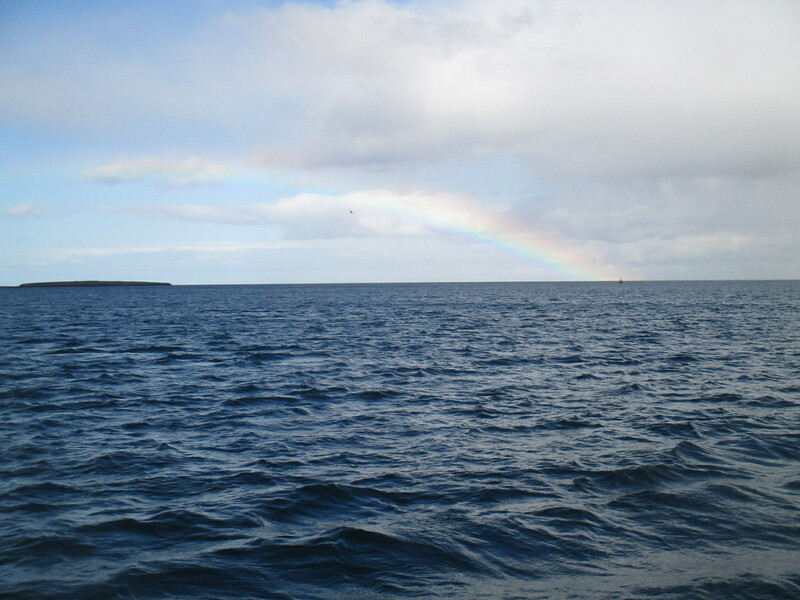 I visited Lake Baikal at Olkhon Island, the lake’s largest island located near the western shore. 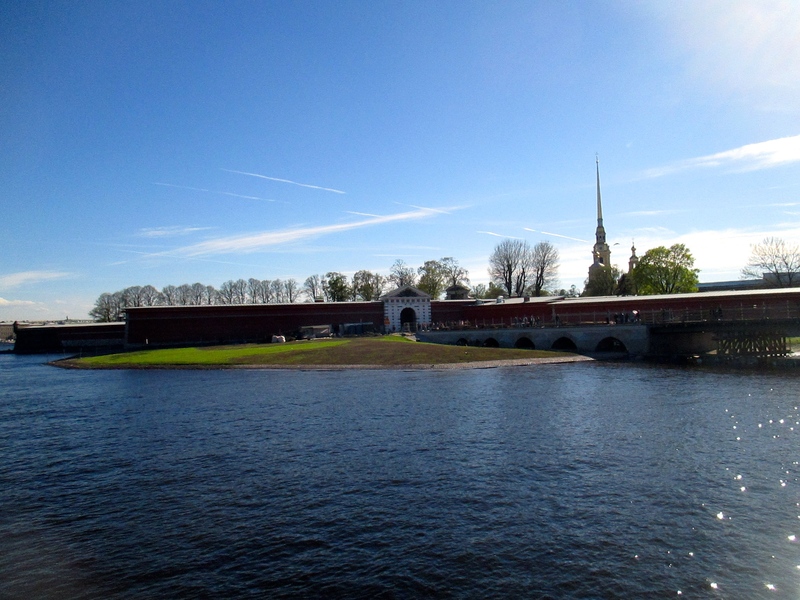 Once and still an extremely holy site in the shamanist traditions of the indigenous inhabitants, a ferry connection to the mainland and growing profusion of guesthouses and tour companies have made it a popular tourist destination for Russians and foreign tourists alike. 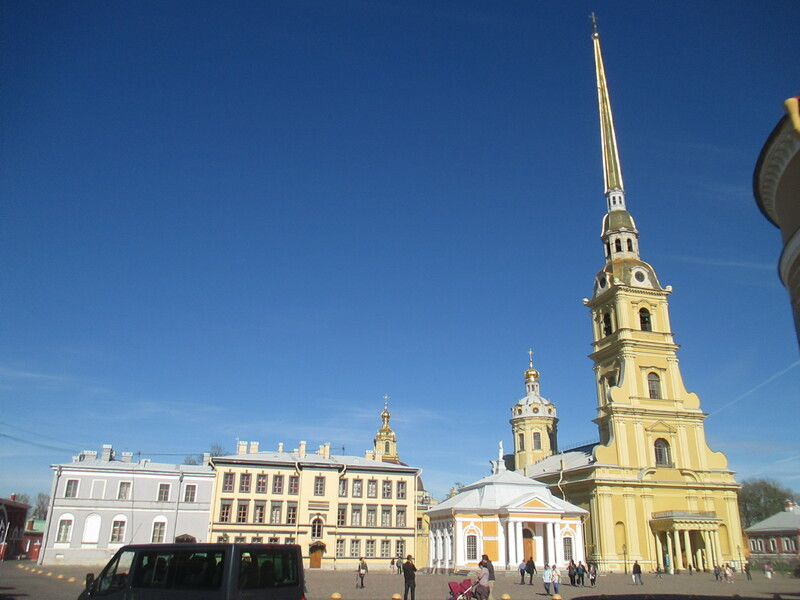 Still, I came early, and despite arriving on Russia’s national holiday (Russia Day), I did not feel the island to be crowded, even in the one town and center of tourism, Khuzhir. Perhaps this was due to the fact that despite its popularity, Khuzhir has retained a very rustic character, with scattered wooden buildings, dirt roads, and farm animals wandering freely. No hotels, amusement parks, or nightclubs are to be found here, nor even stores selling anything beyond the most basic amenities – a sign of the importance in maintaining a sustainable lifestyle for the native people, or a reflection of the small amount of money from tourism that ends up going to locals? 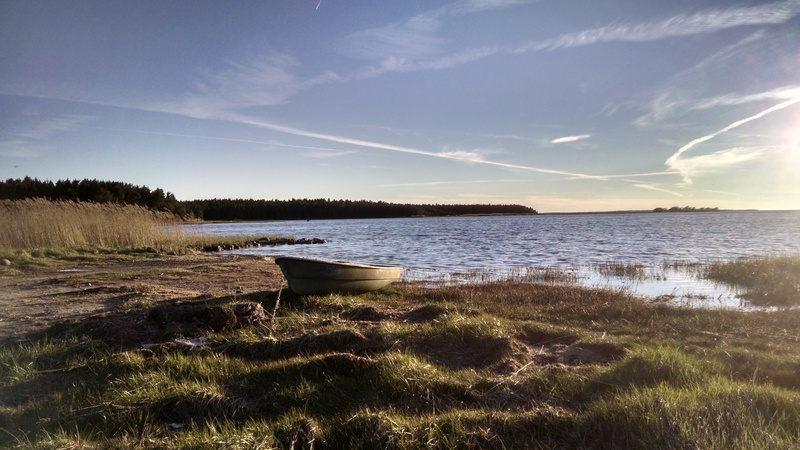 Given the rough terrain, Olkhon is best explored by foot or off-road vehicle. With my limited time, I chose the second option, and took a tour along the northern coast of the island, stopping at several scenic vistas and the tip of the island, Cape Khoboy, while enjoying a traditional meal including a soup of the famed local whitefish, omul. While Baikal is smaller in surface area than Lake Superior, it holds more water than all the Great Lakes combined, and the mountains and plunging cliffs that ring the lake make it incredibly scenic. I also explored around my guesthouse in Khuzhir, hiking in the forests that cover the uninhabited southern half of the island, and spending time at Shaman Rock, located in town. 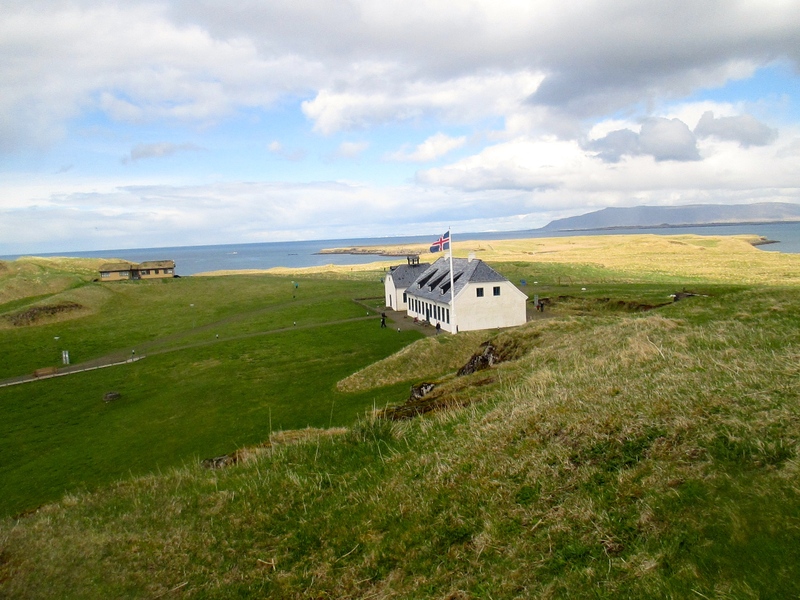 This site and many others on the island are still used for religious rituals, and poles and trees decorated with colorful ribbons are commonplace. 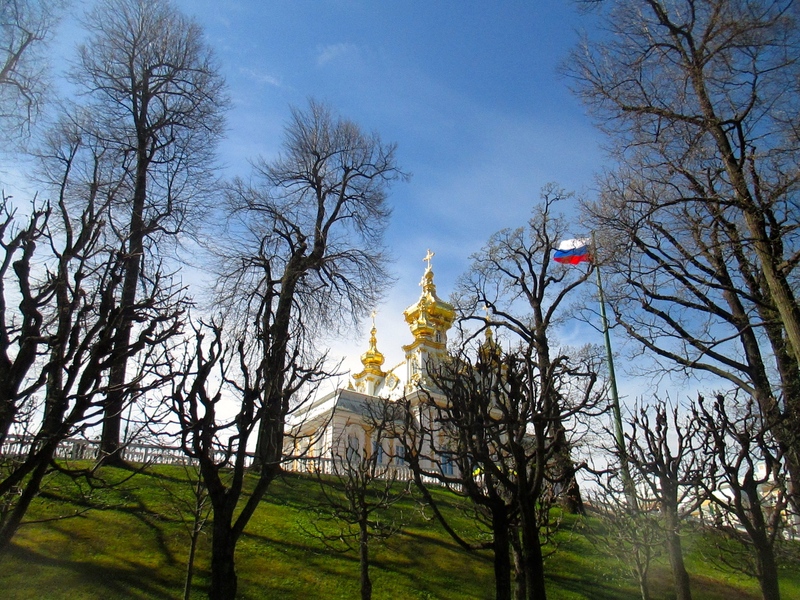 Despite the Soviet suppression of shamanism and the conversion of most local people to Christianity or Buddhism, these practices are still an important part of local culture. Religion also formed an important aspect of my third stop in Russia, the city of Ulan-Ude, the capital of the Republic of Buryatia. Buryats, which are an ethnic group closely related to Mongolians, are one of the largest native Siberian groups, and while they are only a minority even in their home territory, there are large populations in Ulan-Ude and Irkutsk, and they form the main ethnic group of Olkhon Island. They are primarily Buddhist (despite the Soviet persecution of the Buddhist clergy), yet this Buddhism coexists peacefully with the Shamanist rituals they also practice. My major excursion in Ulan-Ude was to the Ivolginsky Datsan, the center of Buddhism in Russia, and a small piece of Tibet in the midst of the Russian steppe (Buryat and Mongolian Buddhism are descended from Tibetan practice, and revere the Dalai Lama, who once visited this datsan). This temple complex consisted of multiple temples and stupas more traditionally associated with East Asia, but also the log houses of old Siberia, and even in this Buddhist holy site Shamanist ribbons are visible. 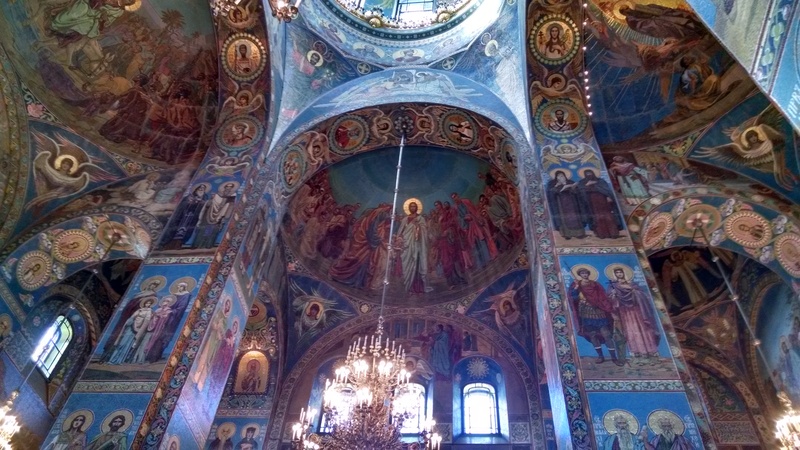 So, over my short time in Siberia, I prayed at a Christian cathedral, made offerings to shamanist nature spirits, and meditated in a Buddhist temple. While religion has become a greater part of Buryat life as new national identity develops in a (slightly) freer Russia, as has cuisine and drama, the Buryat language is still dying as younger generations speak only Russian (even my guide, who was studying translation at university, spoke no Buryat and knew no one who did). With the traditional languages of many of the native groups of Siberia at risk, if even this largest group seeing no reason to hold onto their language, extinction may be inevitable (to be fair, it was hard enough to communicate in Russian, it certainly made it easier for me not to need to learn Buryat). 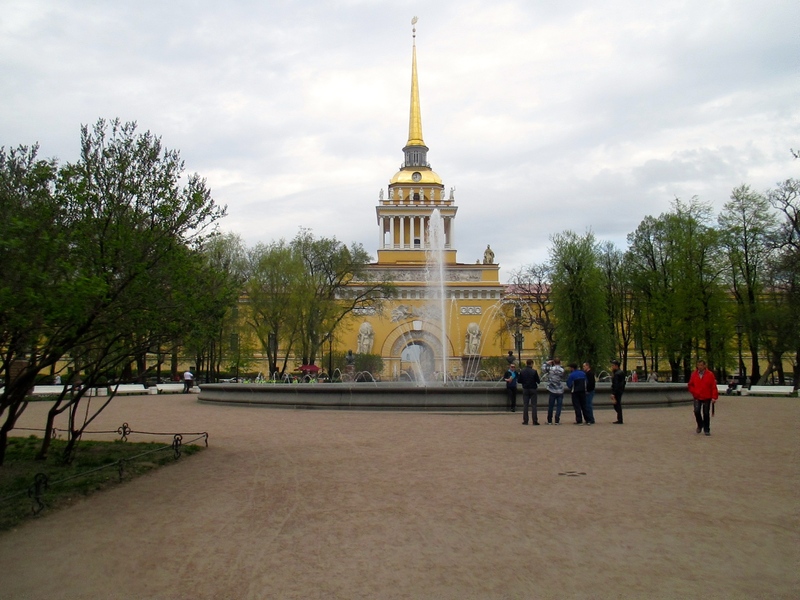 In the West, Irkutsk is mostly known for three things: the territory in RISK, Lake Baikal, and the Trans-Siberian railway. While my original plan of taking the Trans-Mongolian route from Irkutsk to Beijing (the most interesting of the three main routes, no offense to Harbin and Vladivostok) was adapted because of price and timing concerns (I am currently writing this from a bus across the Mongolian border, which takes half as long and costs half as much as the train), I did take the Trans-Siberian from Irkutsk to Ulan-Ude. This section was only 8 hours, was relatively comfortable, and provided some great views over Lake Baikal and the taiga, but I did not feel that experiencing that for an entire week on the train would be a worthwhile trip – the cities and sights off the train are more interesting and comfortable than those which can be viewed from it. And seeing how long it took just to get between to relatively close and developed cities makes the true massive scale of Siberia very apparent – the southern, built-up portion I spent all my time in barely deserves to be lumped in with the vast deserted stretches of the northern tundra. 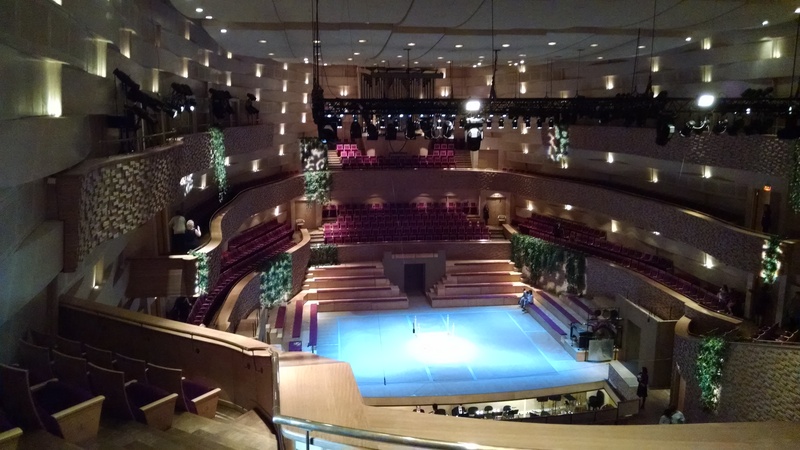 But it was still a great experience to try such an iconic voyage for even a small portion. 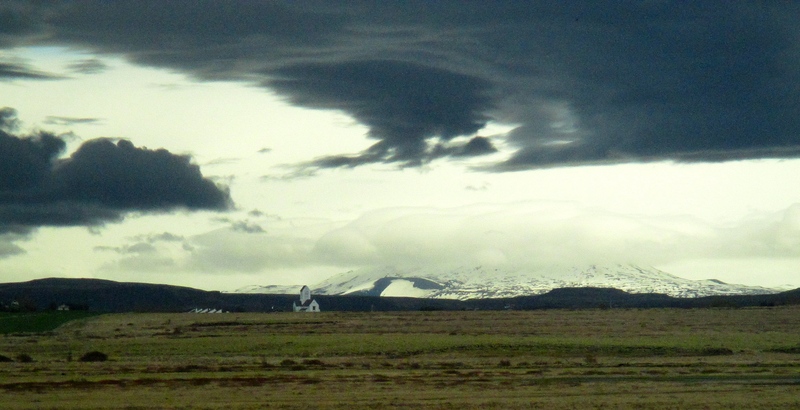 Now my trip is over halfway done, but there is still a lot to see and do, especially in my next stop, Mongolia.